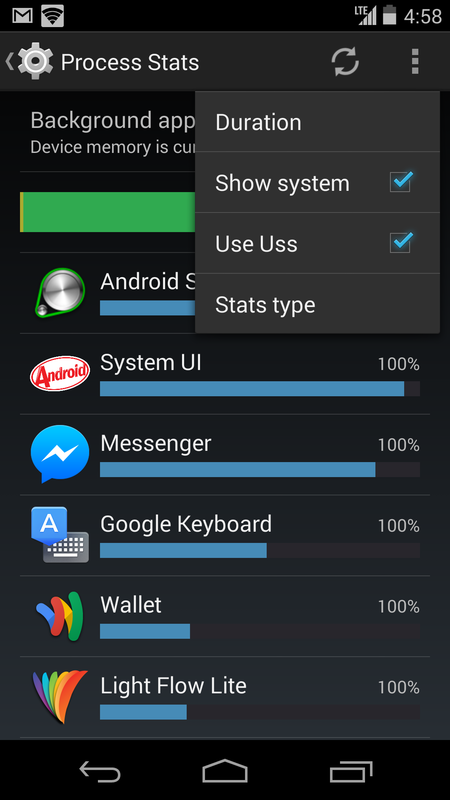 Now that the Android 4.4 KitKat fanfare is (finally) settling down, it's time to revisit our Getting To Know Android series, where we bring to light the new and awesome changes in Google's newest mobile OS - exposing the big stuff right along with some interface changes you may not have noticed yet. 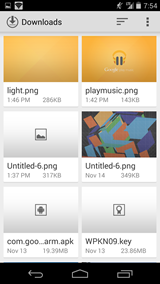 There are plenty of new pixels in Android 4.4, changed UI elements, new design patterns, and a slightly more sophisticated language to decode, along with plenty of new features. The newest revision isn't without its faults (we'll get into those in the next Stock Android Isn't Perfect) but we've got plenty to cover. In this post we'll mainly be looking at user-facing changes, interface tweaks, and visual elements, but if you want a great run-down of some of the invisible features of KitKat (like support for IR blasters, new SELinux policy, etc.) check out our compendium of new feature coverage here. 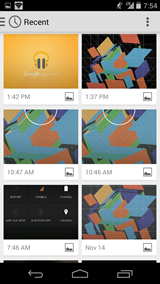 If you're a fan of interface, design, or Android in general, grab a snack and settle in. 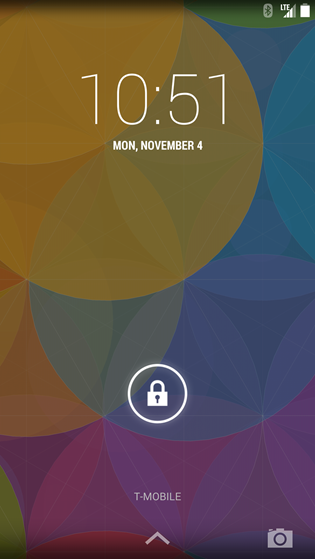 The lock screen is the very first thing you're greeted with when you turn on your phone. 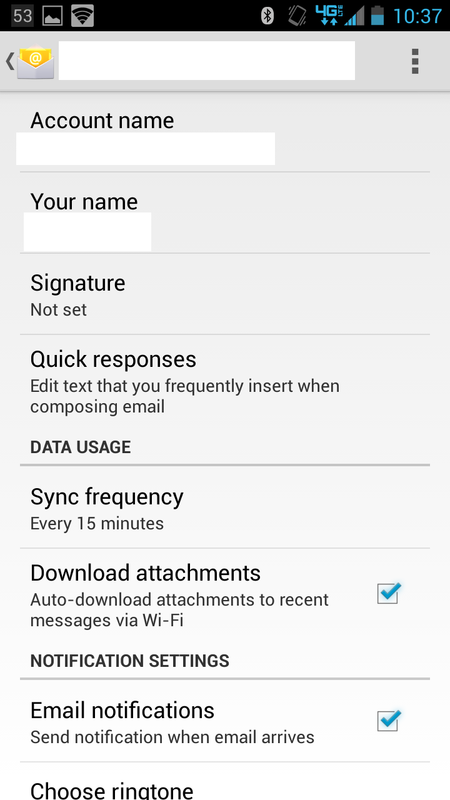 It's a monumentally important part of the interface that's received a few considerable changes with Android's latest iteration. 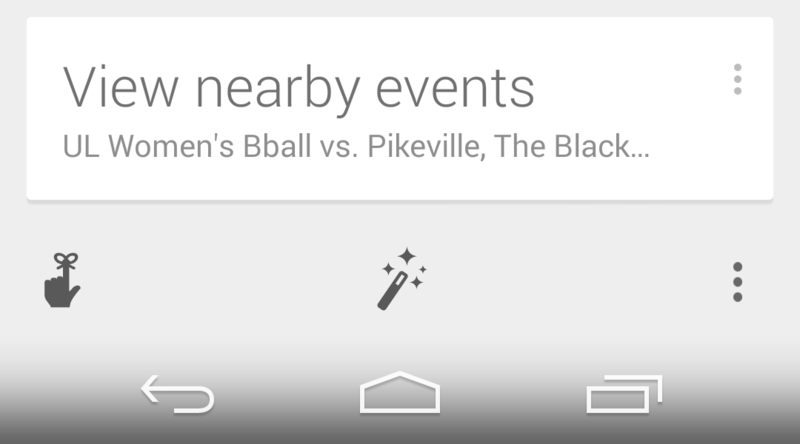 First up, the dotted circle at the bottom of the screen that pulled up Google Now in Jelly Bean has been replaced with an upward arrow. The dotted circle was meant to play off the suggestive hints of the lock ring itself and the hint for the upward-swipe-from-home Google Now gesture. The up arrow is certainly more intuitive, if less pretty. 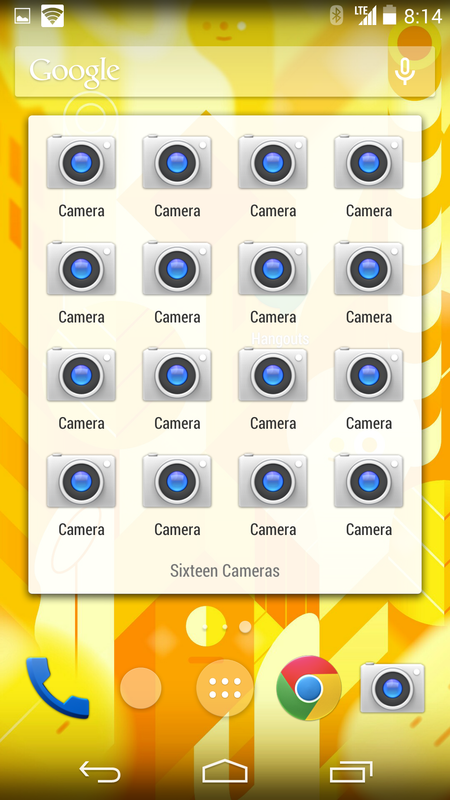 Additionally, there's a camera icon in the lower right. It sort of throws the navigation bar off balance but serves as another obvious guide to the camera widget we grew accustomed to in Jelly Bean, hiding furtively to the right of the lock screen. Lock screen widgets have also undergone some changes - for one, the transparent cards on which they reside are now sharper. 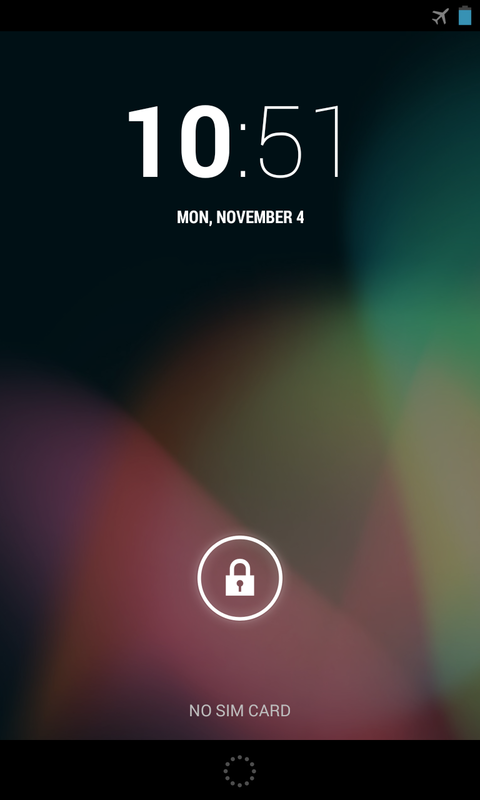 Also, lock screen widgets can now be enabled or disabled in Settings > Security. 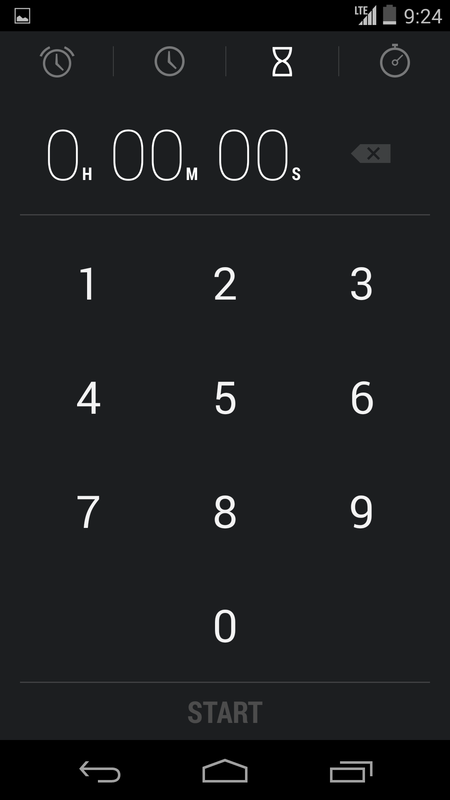 The lock icon, meant to hint to you that you can pull it back up to get back to the initial lock ring, is also larger now. 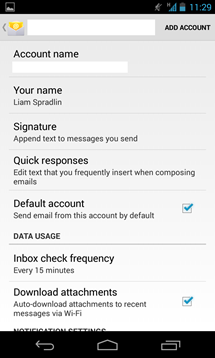 As an added bonus, users of Enterprise security measures (for example, setting Email as a device administrator) can now use lock screen widgets. Oh, and the clock - in Matias Duarte's video interview with the Verge, he touted the fact that an expanded Roboto family allowed for more typographic design options. In this case, typographic revision also resulted in some self-editing. 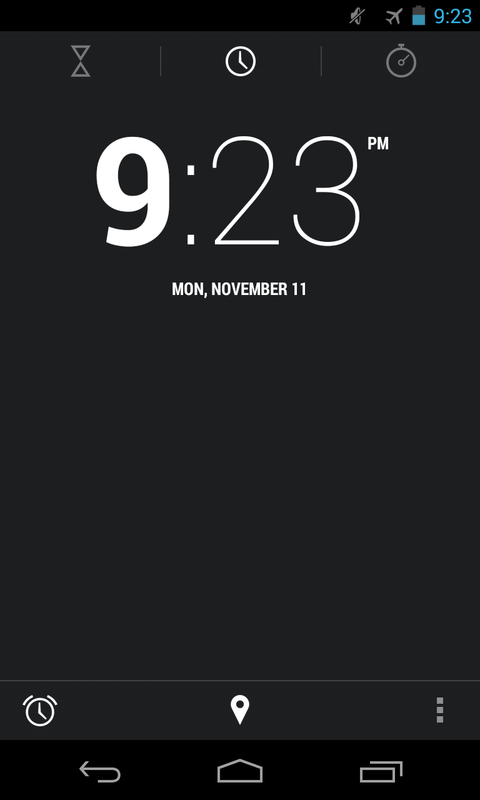 Rather than the black:thin (black in this case being a font weight, not a color) configuration of Jelly Bean, KitKat takes the all-thin approach, displaying the time in just one weight of Roboto. 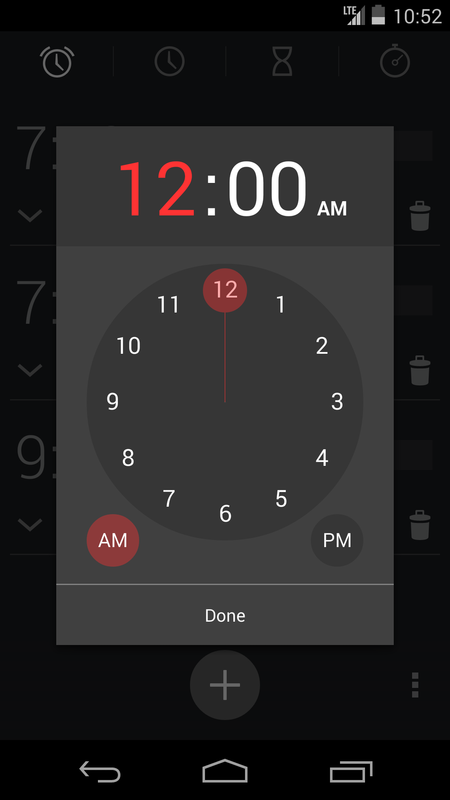 This is also true for the clock app, which we'll look at soon. 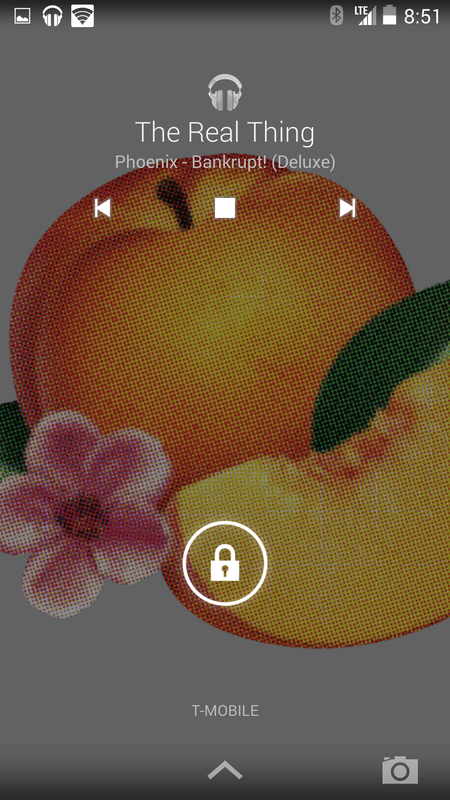 If you happen to be playing music, the lock screen will show you big, beautiful album art that occupies the entire background. 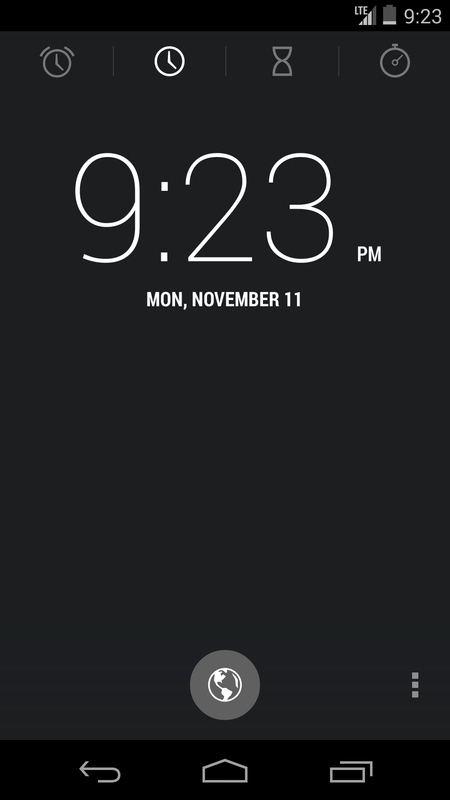 Once you're past the lock screen, you arrive at the home screen. 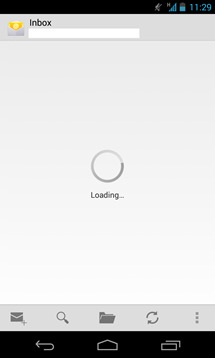 The home screen is another huge part of the overall experience - when you aren't running an app, this is where you are. So, what's new? Almost everything. Let's start from the top. 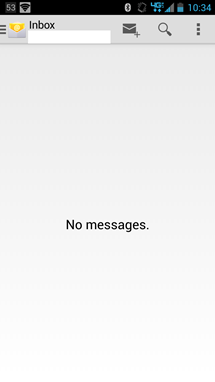 The status bar. 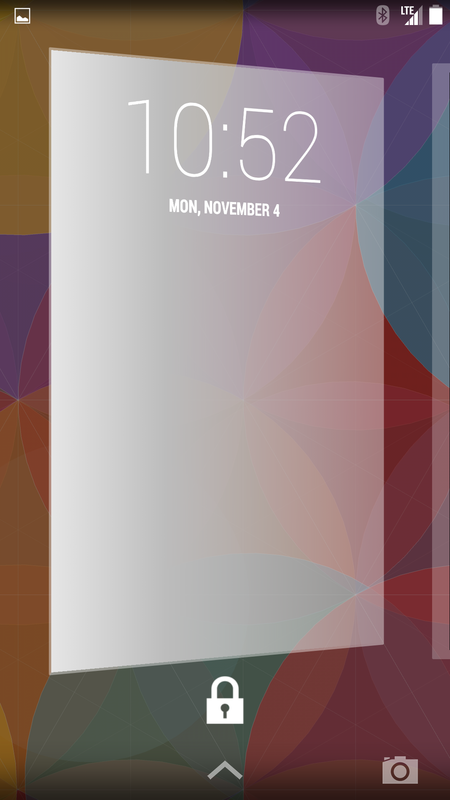 It's transparent with a subtle shadow to back the all-white-all-the-time icons. 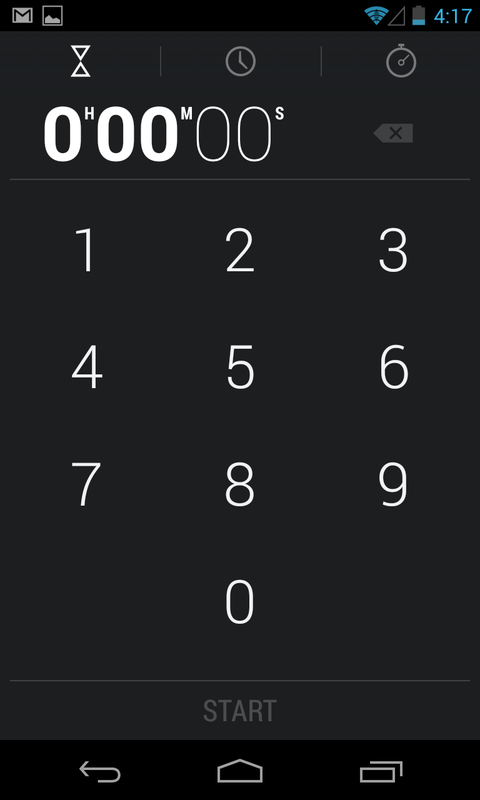 This is a leap from the solid black bar with #33B5E5 icons from Android 4.3 (which turn gray when not fully connected or active). Additionally, network activity arrows have been left on the cutting room floor, only appearing in the quick settings panel. 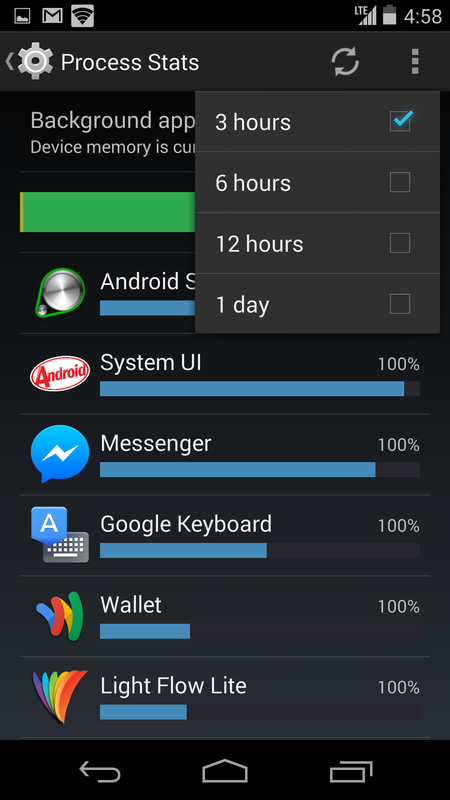 Overall, network connectivity has been made strangely more opaque in KitKat, though for many average users this isn't a huge concern. The pull-down behavior is obviously still present to access your notifications, and the notification shade itself is largely untouched except for white iconography and highlights. The Google Search widget is slightly refined, and has an introductory "Ok Google" hint in Roboto Condensed, along with a microphone icon that has an open oval when not "listening", and a solid one when it's ready to go. 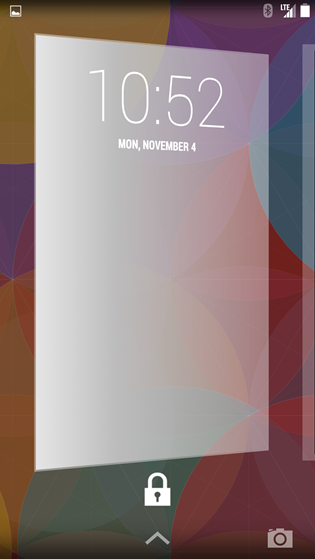 The widget also has new animations when you activate it, with an expanding circle transitioning you to the "speak now" interface, or the search page which, besides recent searches and in-depth suggestions, is just a translucent white overlay on the home screen itself. 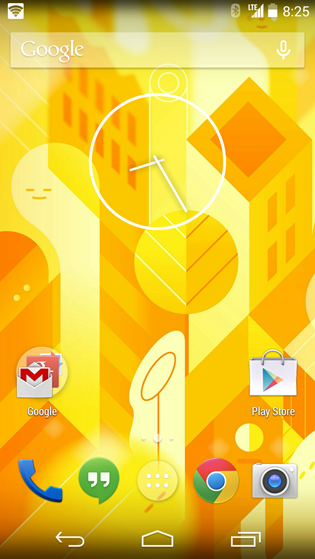 The interesting thing about Search in KitKat is that it is both Search and the launcher. 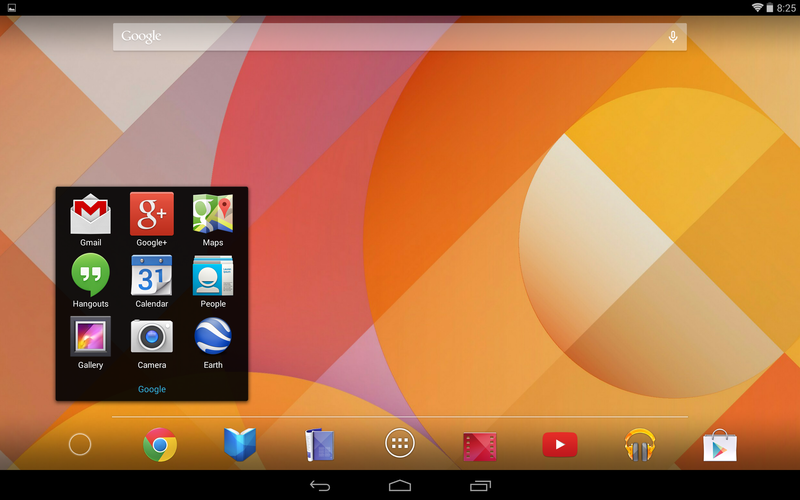 It's Google Search with access to apps and the ability to use widgets and wallpapers. This puts it in a unique position. If Google decides to bring it out of Nexus 5 exclusivity, Search's new launcher could potentially be applied to other Android devices, providing a stock-ish launcher for those using devices with manufacturer skins. 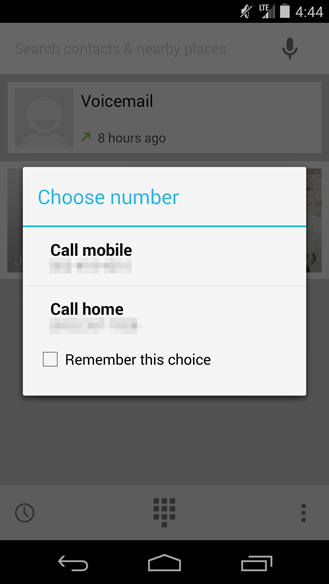 This would be the first step in reigning in control of the Android user interface through user choice. Users could in the future, conceivably, easily choose to get the Google experience on their device, and there wouldn't be a thing manufacturers could do about it. 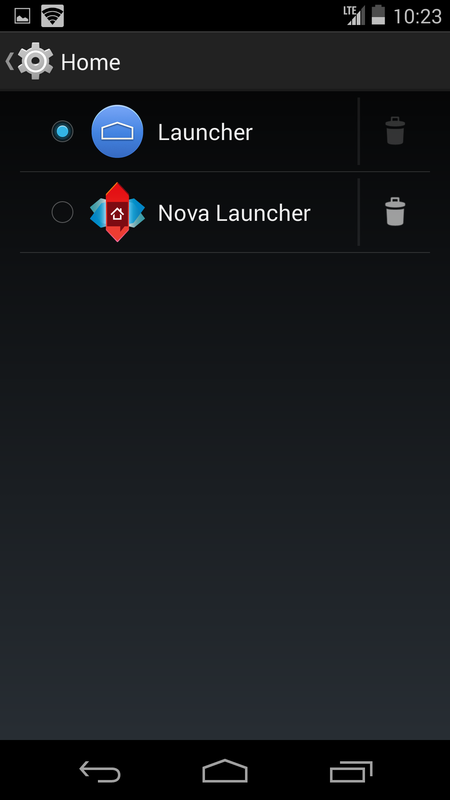 One of the benefits to the launcher and Search apps fusing is the Google Now screen, just a swipe to the left-most home screen. 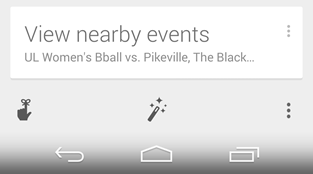 Oddly, Google Now can still be accessed with the swipe-up-from-home gesture on the home screen, but swiping left is just as easy. The screen fades into view with a slick transition. There are several new things here. One of the most noticeable is the addition of a new set of tools at the bottom of the scroll view. 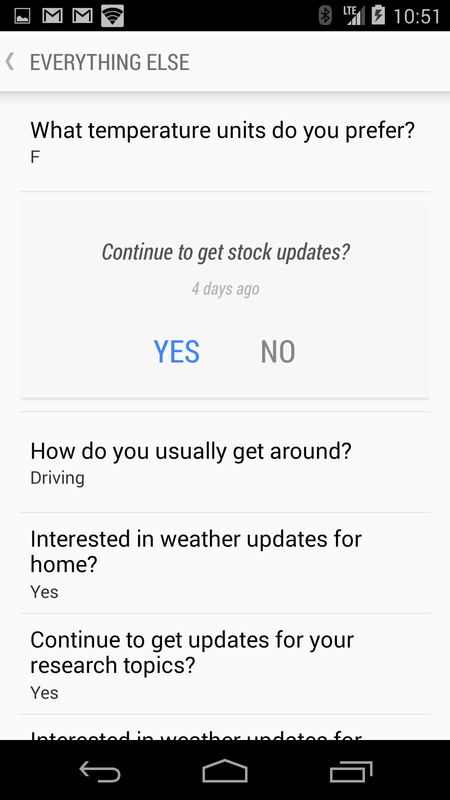 Users can now get quick access to reminders, look at Google Now's settings (and "teach" it what they want to know), and access settings through the revised overflow icon. The "customize Google Now" view is particularly interesting, because it gives a couple of new design techniques to ponder. 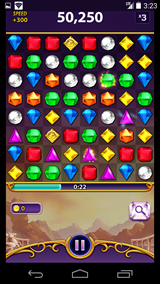 Specifically, the title in the action bar is in all-caps Roboto Condensed, one of the new Roboto expansions Duarte mentioned in his talk with the Verge. 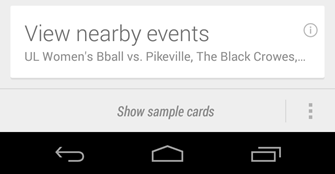 The next notable item is the behavior of list items expanding into cards. This isn't very graceful yet, but it's there. 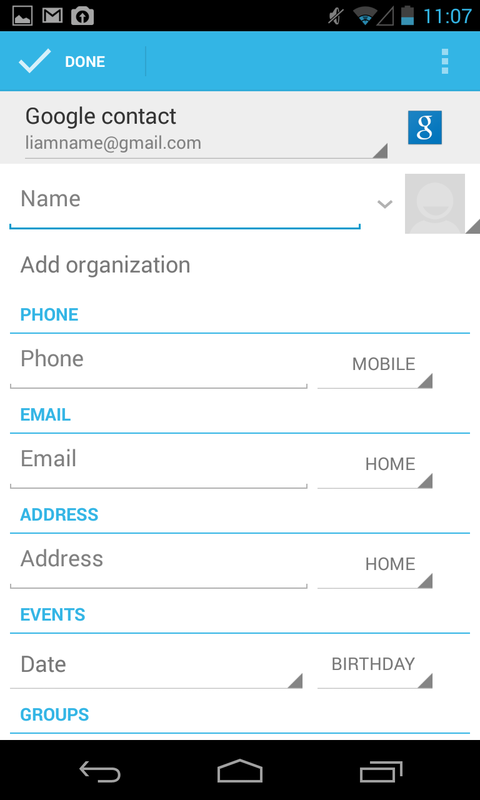 Tap a list item and you get a card, offering you choices you can select with handy iconography or typography. This is a much more dynamic way to select options than radio buttons and check boxes. 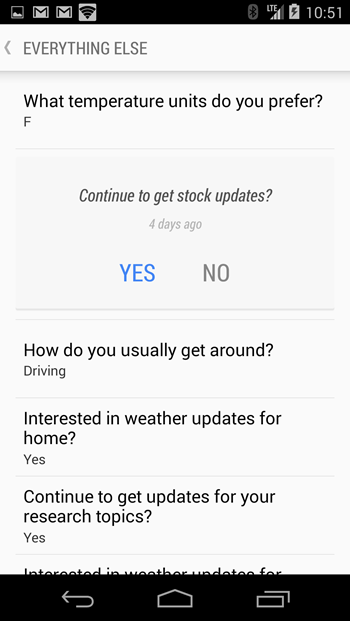 Of course, the whole screen follows the gray-on-lighter-gray pattern KitKat sticks to (mostly, anyway), but the Google Now screen holds one other surprise - a new shade of blue for Android. The new shade is #4285f4. 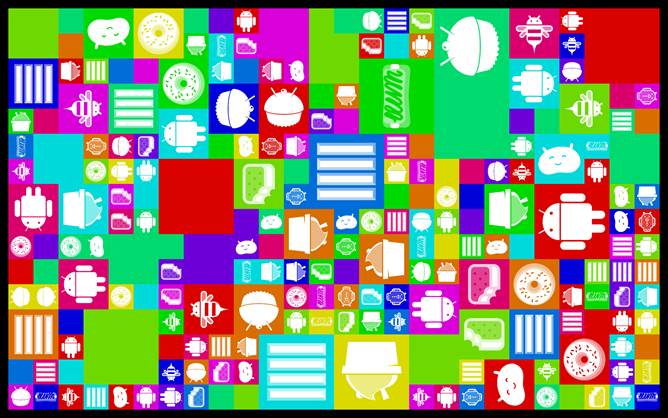 It's not HOLOYOLO blue (#33B5E5), but that color is still all over the place in KitKat. It's unclear whether the new blue is a Google Now branding decision, or a color that will eventually spread to other parts of the OS, but it is pleasing either way. Icons on the Nexus 5 are bigger proportionally than their counterparts on the Nexus 4 display. 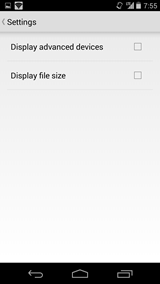 An over-simplified explanation of this would be that KitKat recognizes the Nexus 5's display as being composed of less density-independent pixels than the Nexus 4 display, despite the fact that its size and pixel density are higher. 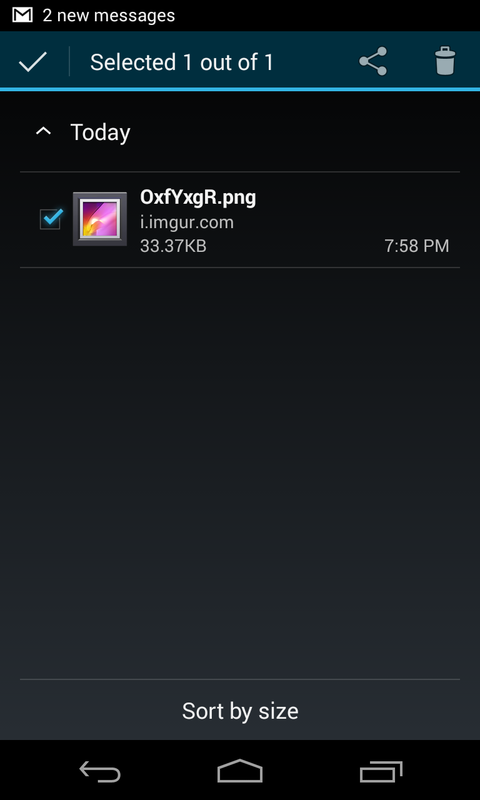 This results in the appearance of larger icons. 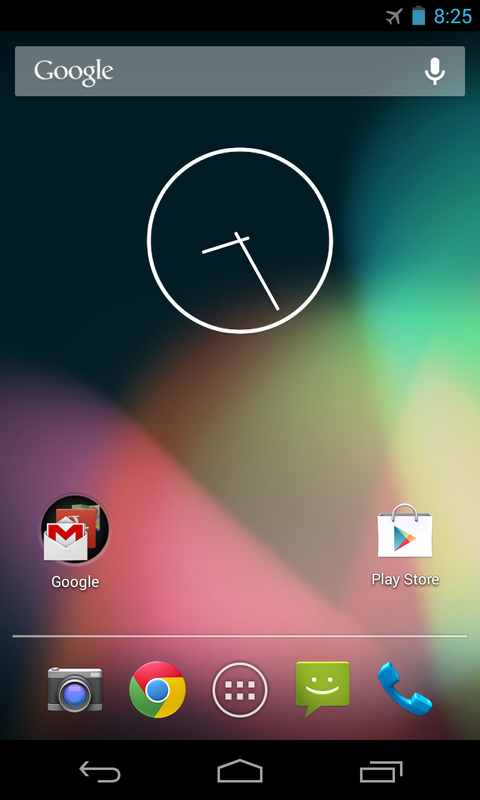 It's unclear whether this will be the case for other Nexus devices updated to KitKat with official GEL support, but the larger icons are easier to press, though they can look a bit over-the-top. This principal also means things like scroll indicators (where large letters appear to the left of a scroll bar) and other visual elements may be exaggerated throughout the OS. 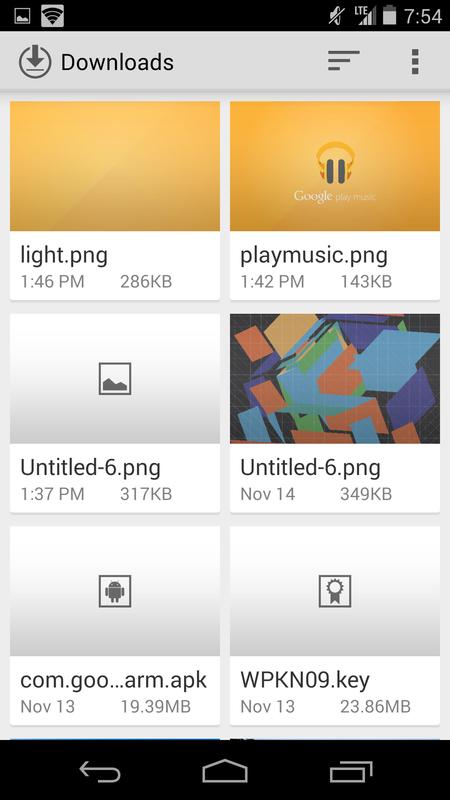 Folders have gotten a visual makeover, but function exactly the same. 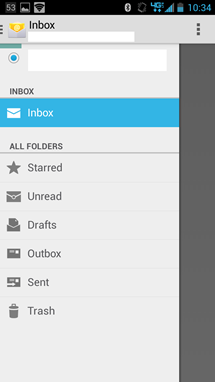 As with several other UI elements, folders are now based on translucent white shapes. 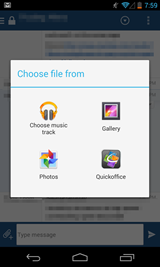 The folder icon is a translucent white circle. 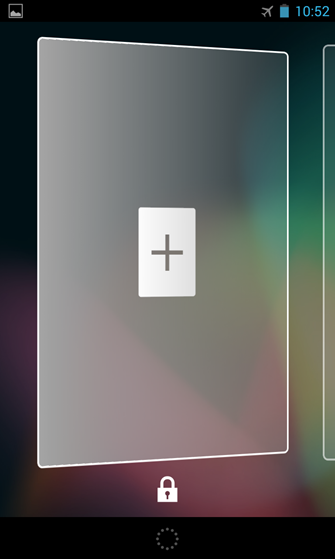 So is the placeholder for folders in your dock. 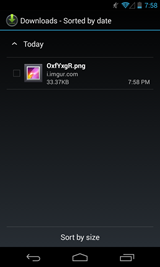 So is the squared pop-up spawned when you click a folder. By the way, folders can still only hold sixteen icons. 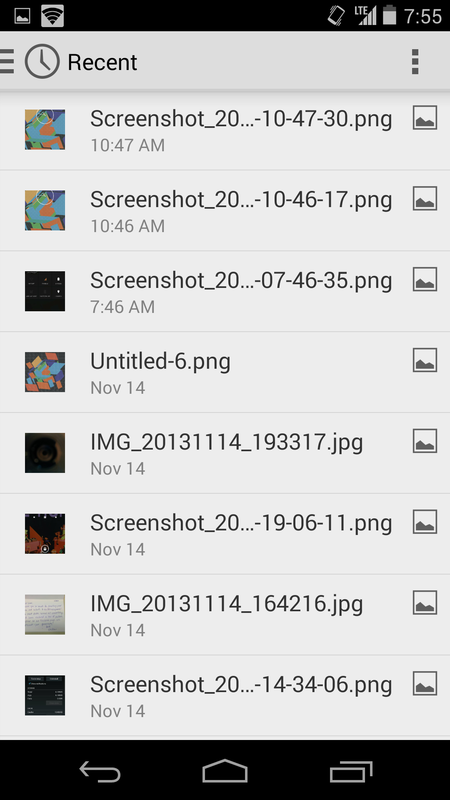 The scrolling folders rumor never quite materialized, unfortunately. 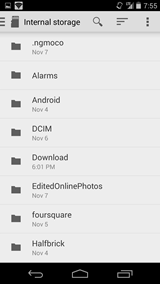 That said, I've never hit an instance where I needed a folder with sixteen icons, much less seventeen. Another subtle tweak to folders is that, when you have a folder with 10 or more icons (this is the cutoff for 4 columns of icons), the square popup is centered on the screen, while it used to be off to one side or the other in 4.3. 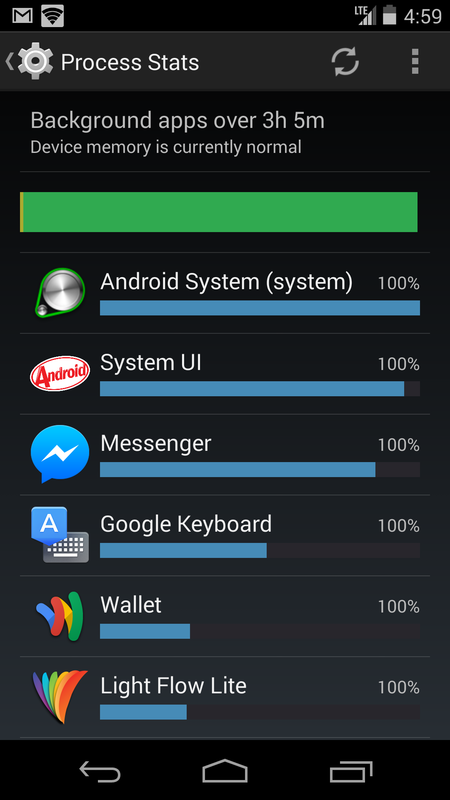 This is largely due to the bigger icons, discussed earlier. One last thing - icon labels are now typed in Roboto Condensed. This is a member of the Roboto family that's popped up across KitKat. It certainly allows for more compact, readable labels, and it will be interesting to see where it spreads next. Gone is the long bar atop the hot seat. It's been replaced with an indicator made of (you guessed it) translucent circles, which scoot over (a la iOS) when you begin to drag something to the home screen. 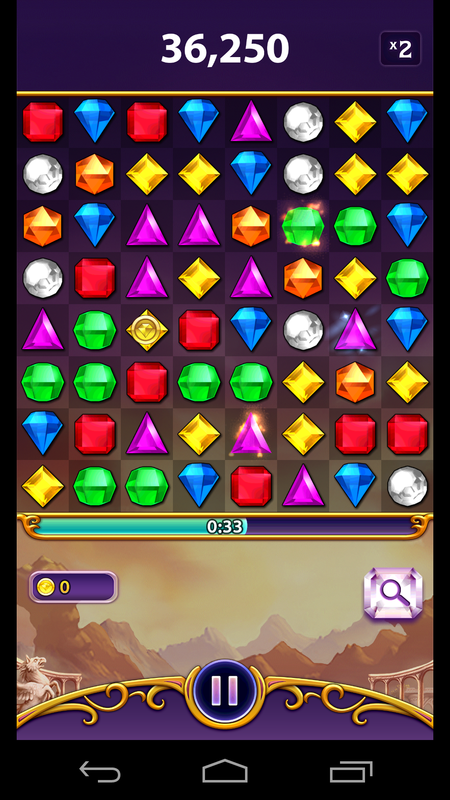 A "+" symbol also appears, indicating that you can add a new home screen in a snap if you want. 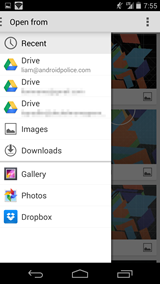 Likewise, the app drawer button is now a translucent circle with six smaller circles, replacing the open circle and six squares of Android past. This button is more cohesive with the white and/or translucent vibe of the rest of the home screen, and even has a cleaner feedback indication. 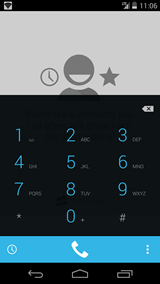 No longer is the user confronted with a cropped blue glow. Now, the app drawer icon becomes slightly more opaque when pressed. Now that the status bar icons are white, it could be confusing to figure out whether you're connected to Google services or not. 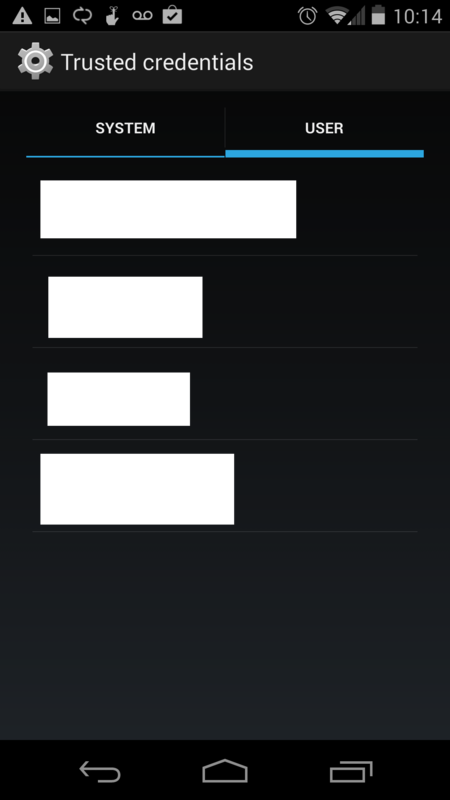 In Jelly Bean this distinction was easy: gray icons mean no connection, holo blue and you're set. In KitKat, your icons are always white, but if you're not hooked up to Google services, the icon will be orange in the quick settings panel. 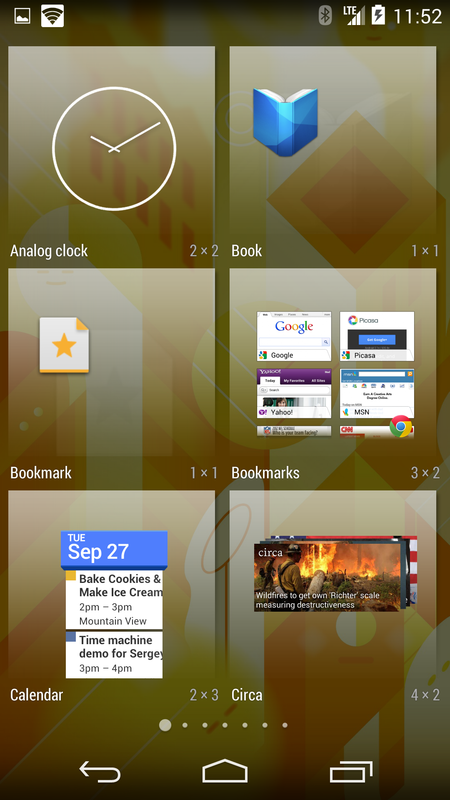 In Android 4.0, Google added widgets to the app drawer. 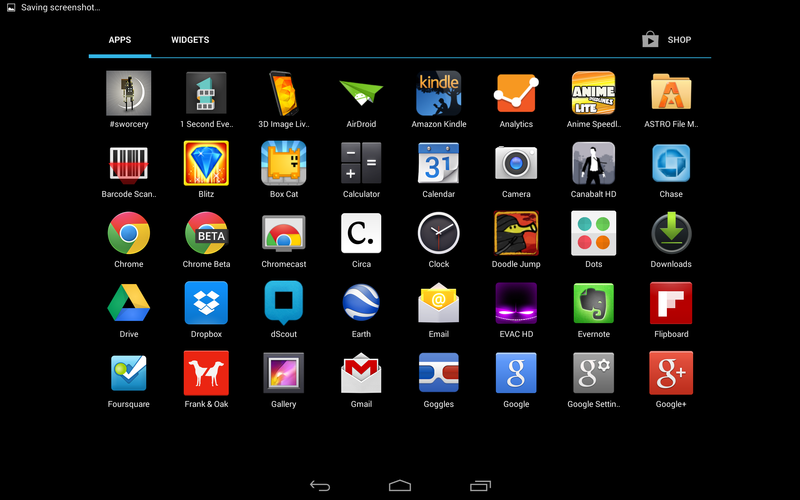 Adding widgets to your home screen meant selecting the Widgets tab in the drawer or swiping to the right past all your apps. 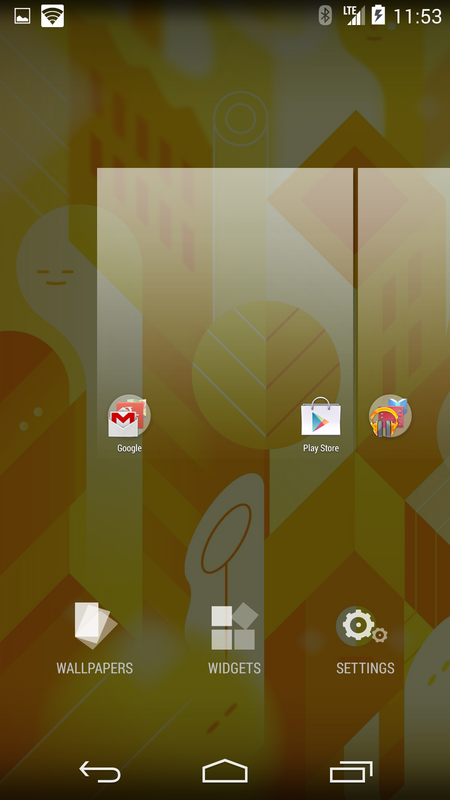 With 4.4, Google's changed the way you change your homescreen again. 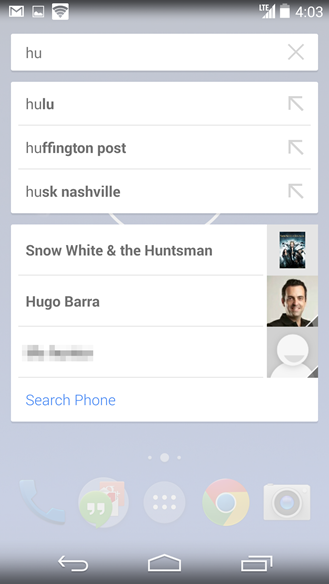 Now wallpapers, widgets, and settings for (unsurprisingly) things related to Search are all a long-press away. If you're picking a widget, the interface is just like it used to be - translucent cards with widget previews that you can drag onto a home screen. 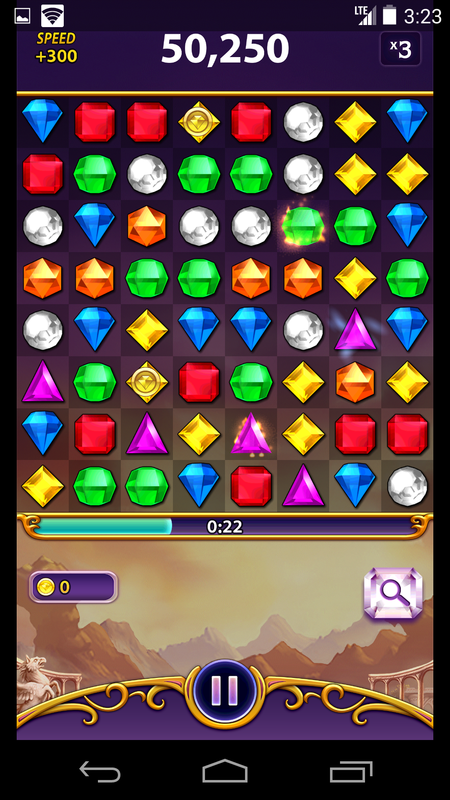 Speaking of which, dragging anything onto the home screen gives you the option to quickly create a new screen in the lineup. 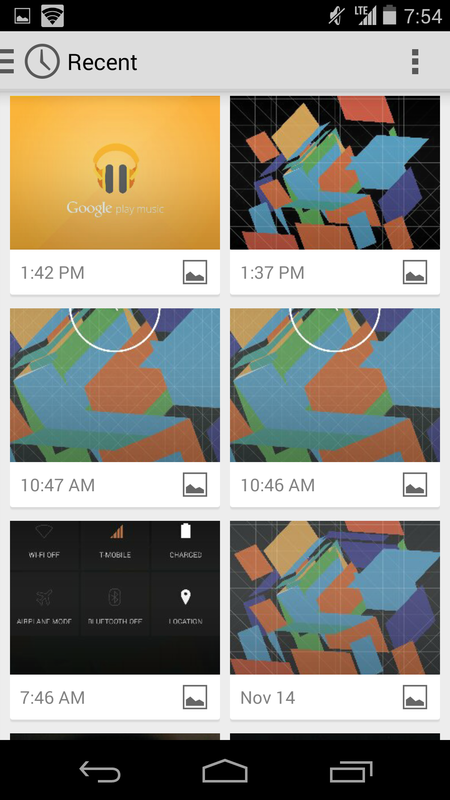 Setting a wallpaper has been a thorn in the side of many Android users for a long time. 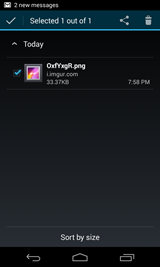 Previously, setting a photo or other downloaded image as a wallpaper required the use of an awkward cropping interface. Sizing up a photo or design for a wallpaper took some thought, and often some calculation, to make sure it would fit and crop properly. Those days aren't quite over with KitKat, but the wallpaper interface is certainly much better than it was. First, it combines stock wallpapers, live wallpapers, your own recent picks, and the option to choose from all your images in one long strip of items. If you choose to use your own image, there's no more cropping interface. It just shows up. You can pinch to zoom the image in or out, and the wallpaper picker will give you a kind of preview of what it will look like, moving all the UI elements except for the "set wallpaper" and nav bar out of the way. 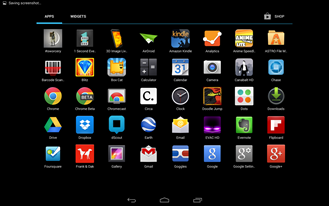 The app drawer, as mentioned earlier, is now devoid of a widget list, and only houses your apps. 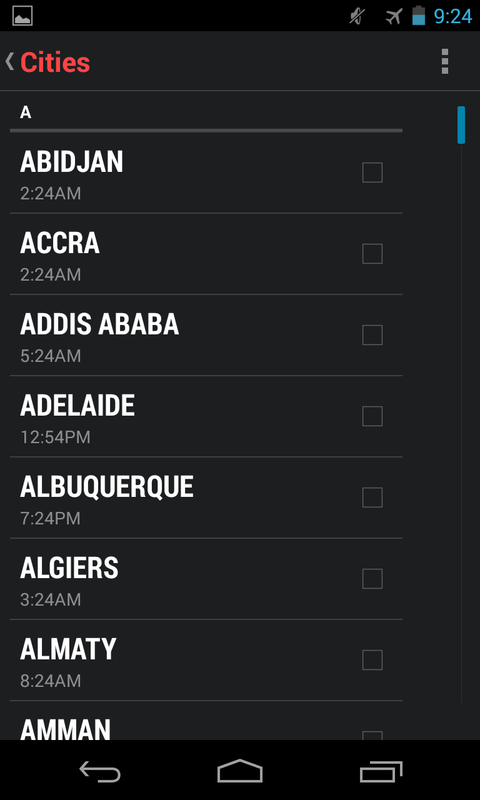 The list is now a 4x5 grid (for reasons discussed earlier), so navigating to the app you want may take more time, but once you get to the appropriate page, you'll definitely see what you're looking for. The horizontal pagination of the app drawer is sort of a pain, but it is still better than the 3D cube drawer from the Gingerbread days. 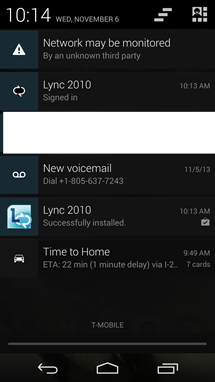 The app drawer also shares the same dotted scrolling indicator as the home screen, offering a consistent scrolling experience between the home screen and app drawer. 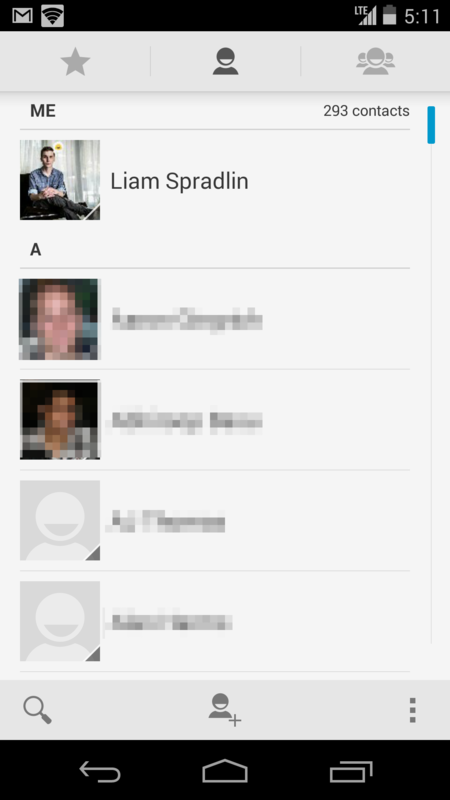 Google made a very interesting decision with its Search-spawned launcher. 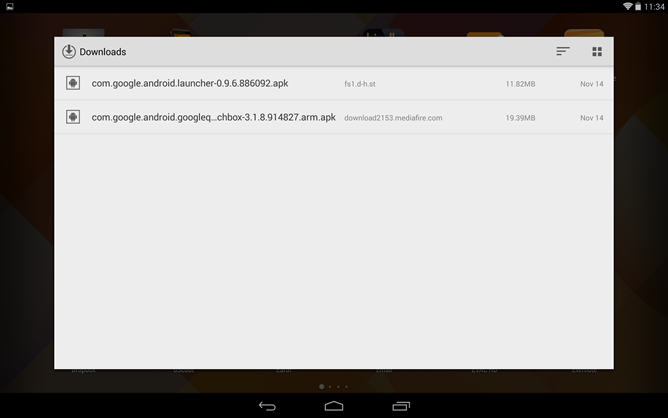 Specifically, it decided not to include the launcher in 4.4 updates for the Nexus 7 and 10. 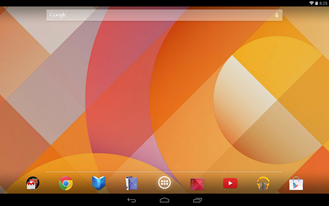 Users of the tablets will be greeted with a launcher that is virtually identical to that of Jelly Bean, except that more things have white accents rather than holo blue. What's stranger is that a lot of elements seem to have been totally ignored. 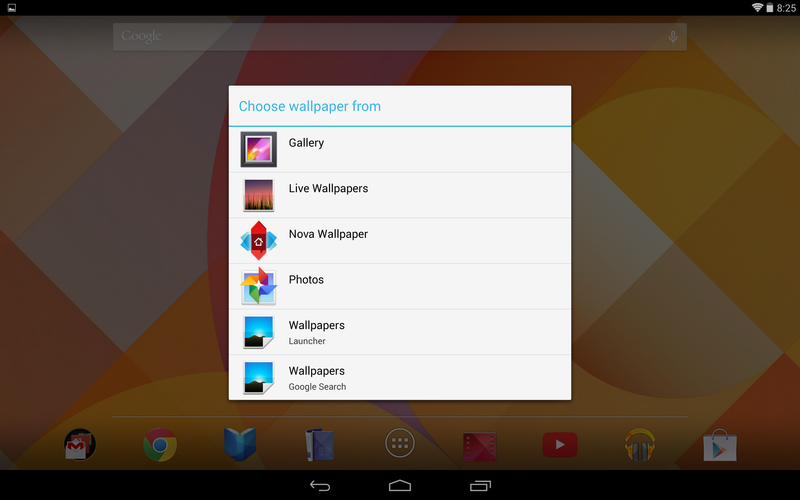 Wallpapers still need to be selected via long press (which will pull up a list of apps to handle the task, like Jelly Bean), while widgets are found in the black-and-blue app drawer of old. 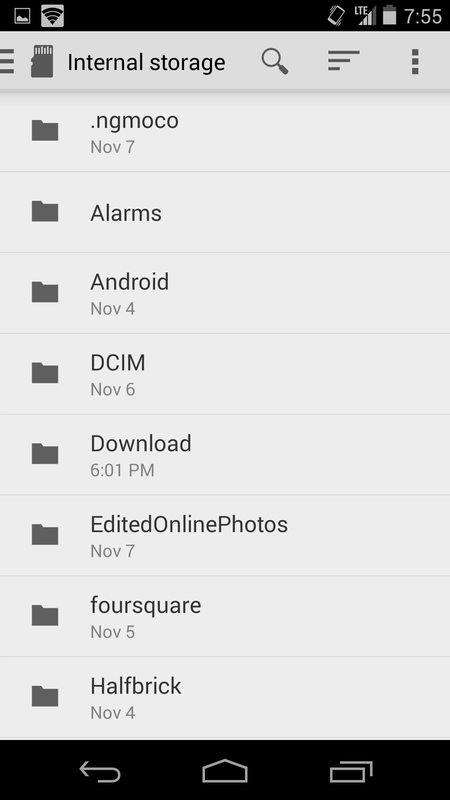 Folders likewise are still black (though their place holder is a jaggy white circle). 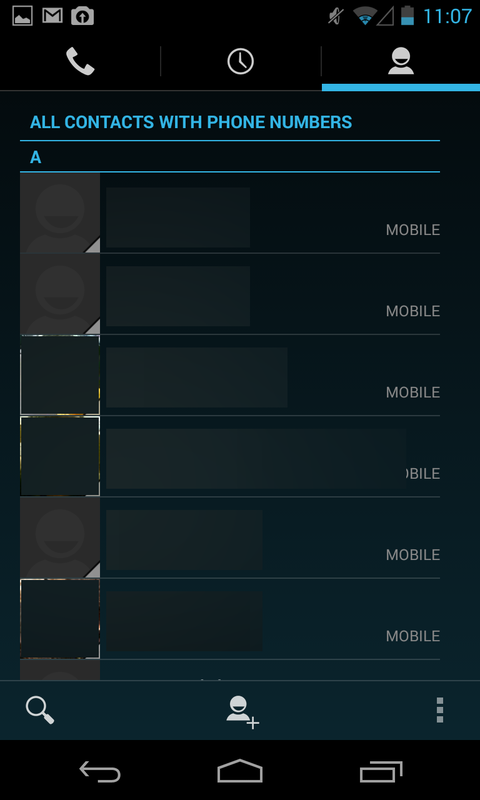 The seeming lack of attention to the launchers on other Nexus devices running stock 4.4 must have been on purpose. After all, the Google Experience Launcher should be spreading to other Nexuses and perhaps even more devices eventually, right? Well, that's not clear. According to a report by the Verge, Google is keeping the launcher an exclusive to the N5, and might offer it to the Nexus 4 in the future. No explicit mention of other Nexus devices (tablets) was made, but a loose allusion to Play Store availability was thrown in. If I might add in some editorial thoughts, it makes little or no sense for Google not to have included the launcher with the other Nexus' updates. 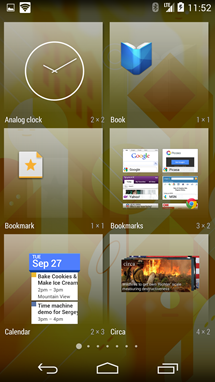 After all, much of the user-facing change in KitKat is found in the launcher. System-wide white highlights clash with the new-old launcher which still clings to #33B5E5. Such a fundamental difference in interfaces between the same line of devices puts a LOT of marbles into the "bad UX" jar discussed at I/O this year. Let's hope Google finds their launcher a success on the N5 and opens it up at least to the other Nexuses. 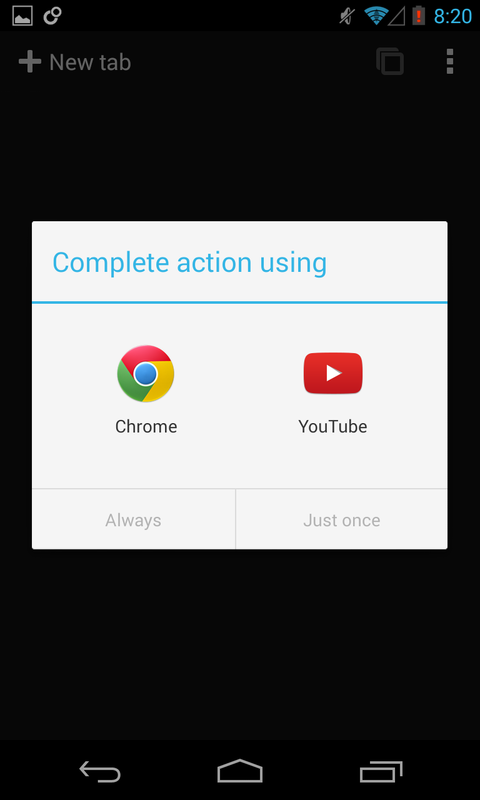 Of course, users can still get the launcher by installing a quick APK if they, like me, would like a more consistent feel. 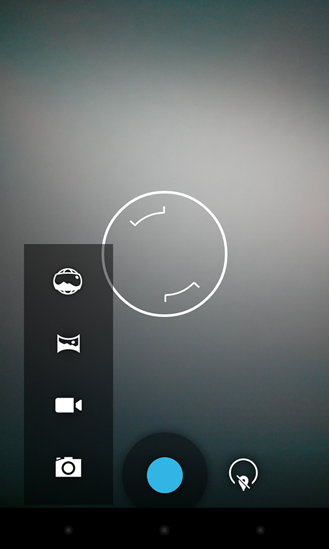 The camera interface remains largely unchanged. The shutter release button is slightly tweaked, having a dark ring and a more prominent drop shadow under it to separate it from whatever scene you're looking at behind it, and the mode selection picker has a little less padding than in Jelly Bean. 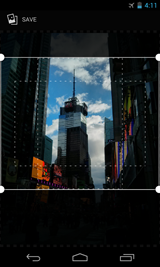 Google's stock Photo Editor has always been pretty decent for mobile in-camera editing, but KitKat's new "non-destructive" photo editor has taken the interface to a new height. The layout has been updated and (ignoring the pinstripes) looks and works great on both phones and tablets. Besides the new layout, the editor adds in more fine-tuned controls over effects and adjustments, including things like gradient filters. Users can also save presets for faster editing. The real draw though, again, is that the editor is "non-destructive." 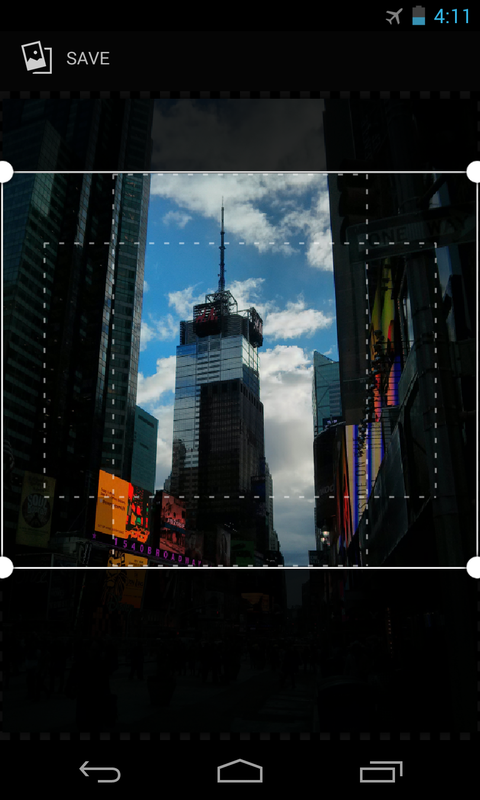 Not that anyone shooting with a mobile device is necessarily concerned about maintaining absolute fidelity from phone to monitor, but the editor won't destroy or degrade any photographic data as you wildly fling adjustment sliders with reckless abandon. Much of the Clock app appears similar, with the red accents that stunned when the app debuted, all-caps typography, and minimal overall interface. There are still some notable changes, though. 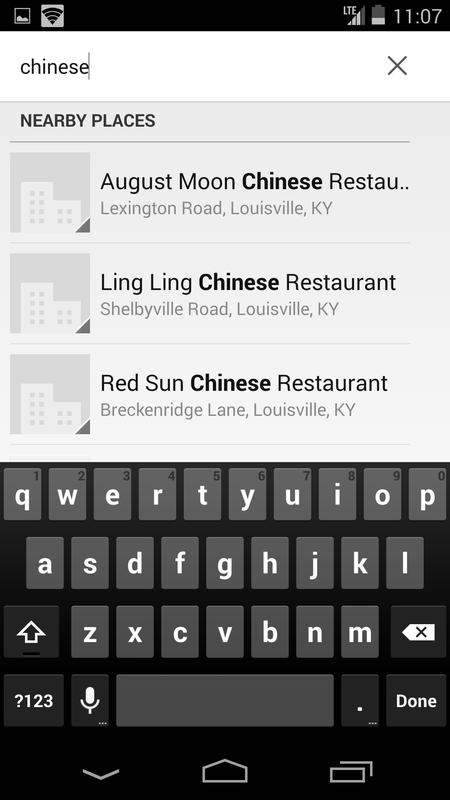 Now, when choosing a location to add, the scroll bar matches the bold red of the upward navigation. 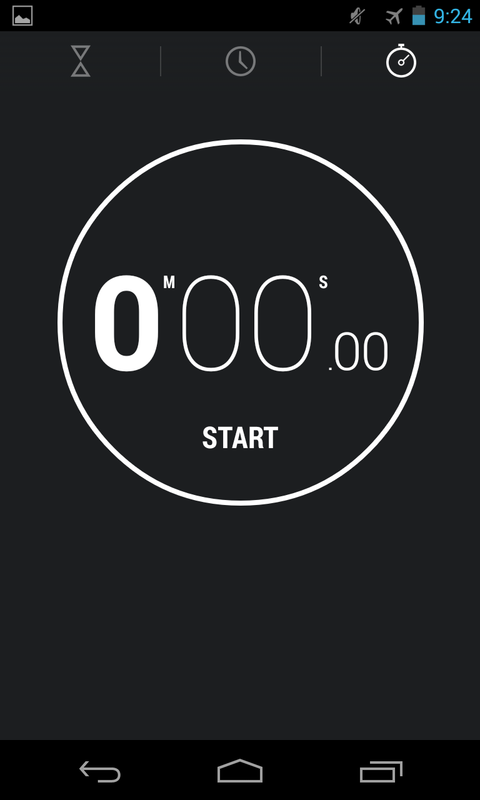 The stopwatch screen is a little different, with the stopwatch itself now centered on the screen, smaller numbers in a consistent thin weight, and no "M" or "S" superscript labels. 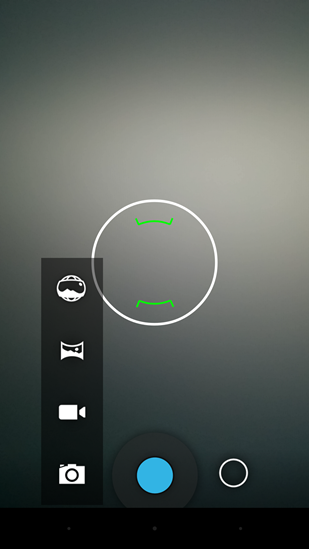 The location icon has also changed from the place-marker KitKat uses elsewhere to a globe icon with a circular highlight. 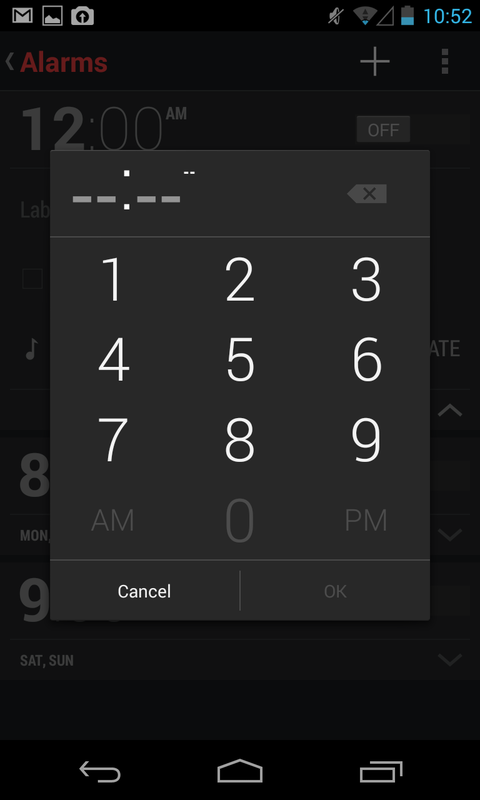 On the alarm screen, there's no more action bar! 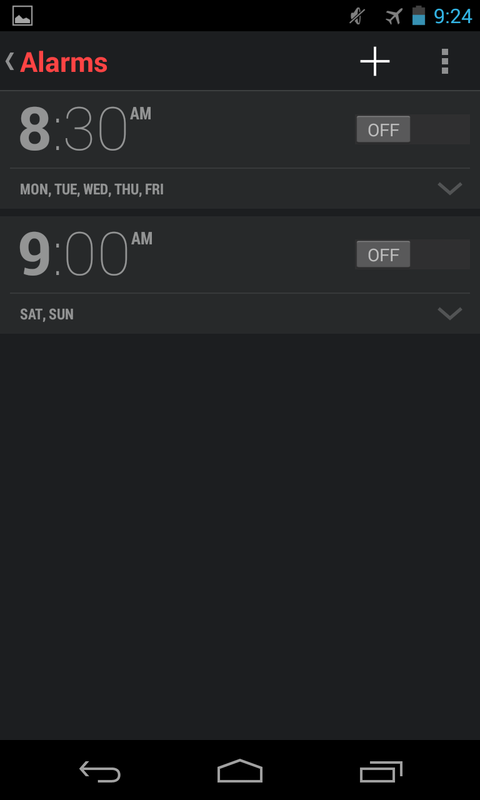 Little trash cans will let you delete alarms at will (since swiping is no longer an option), and the plus button has jumped to the bottom center of the screen, with the overflow key flanking it at the right, as is the case throughout the app. 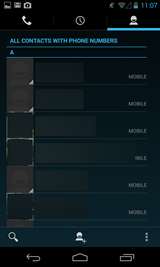 Switches in KitKat, as we'll discuss in Stock Android Isn't Perfect are still holo blue for some reason, but the rest of the app looks like it's been given a healthy waxing. 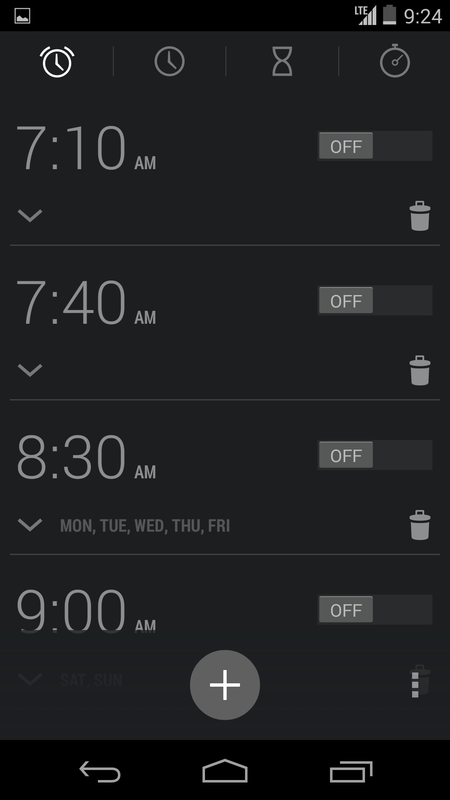 Thankfully, the time picker for alarms has also been updated. 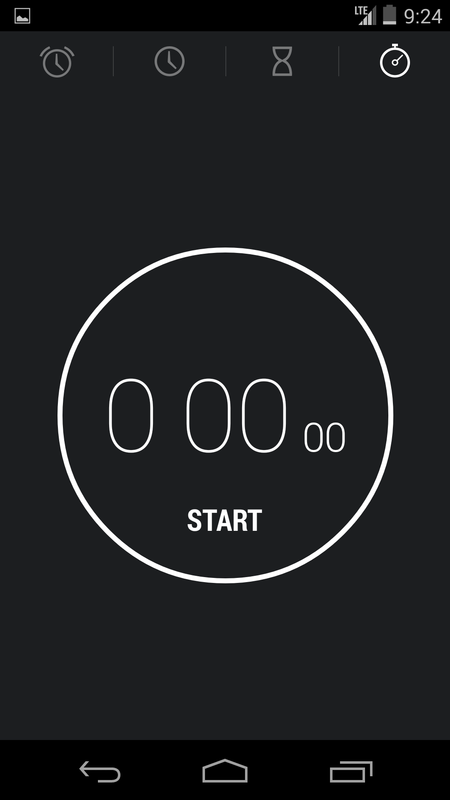 One more thing - if you've got an alarm coming up, you can preemptively dismiss it. 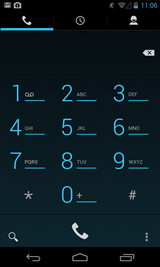 The dialer got a major overhaul in KitKat - it not only switched from dark to light and gradient-happy to flat (and picked up a few card-inspired elements) but it learned some new tricks too. Instead of a dialpad screen, you'll be greeted with favorite contacts, frequents, and recent history when you first start up the app. 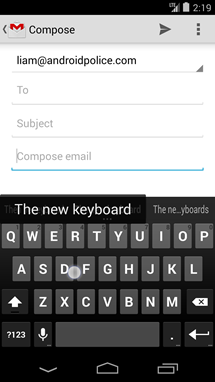 You can access the dialpad with a quick tap of the button at the bottom center. 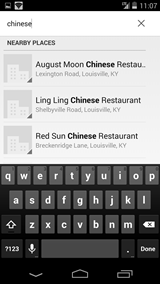 Where users used to be able to search for contacts, they can now also search for local businesses. 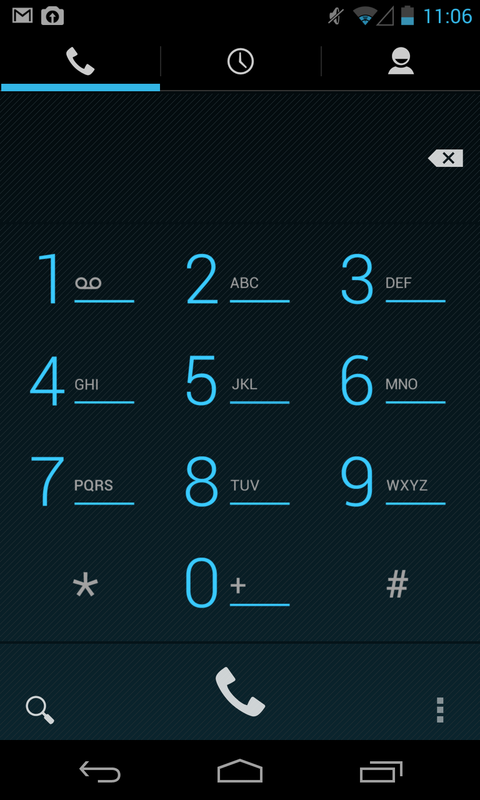 The dialer even allows for mistakes. While it doesn't suggest alternate spellings, it will know that "chnrse" actually means "chinese," and search accordingly. This is the same sorcery that powers KitKat's smarter caller ID, which will try and look up unknown numbers against a list of businesses. 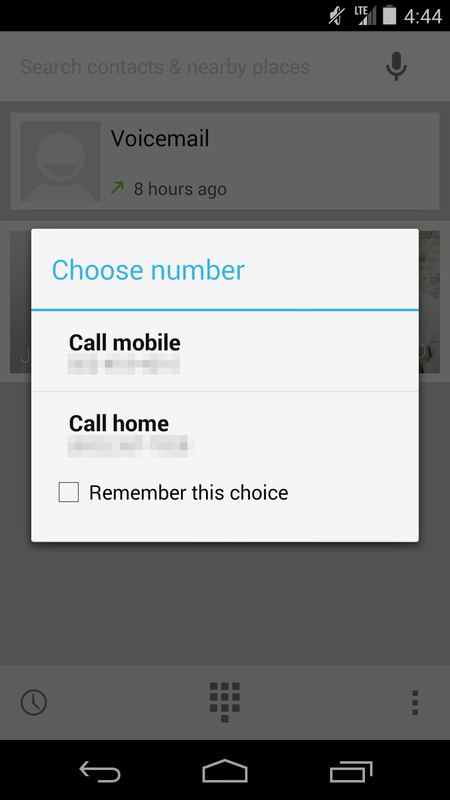 Like the latest Google Search, the dialer is also cognizant of contacts with multiple numbers, and will ask you to choose a number when dialing from your favorites. 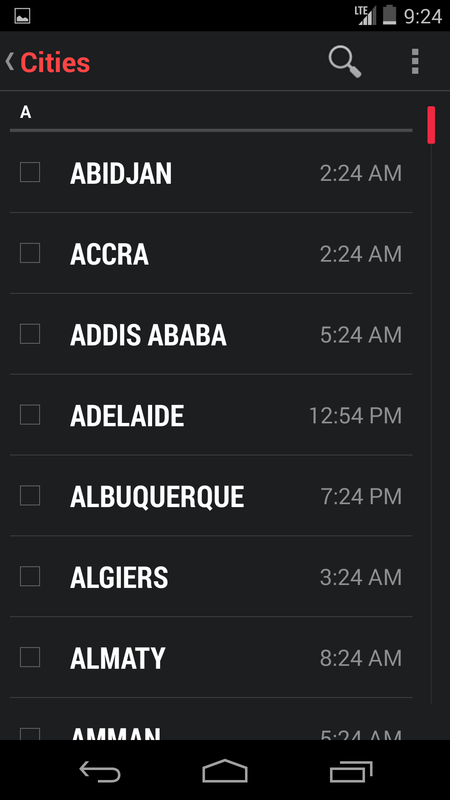 The Email app has felt less than ideal for a while. 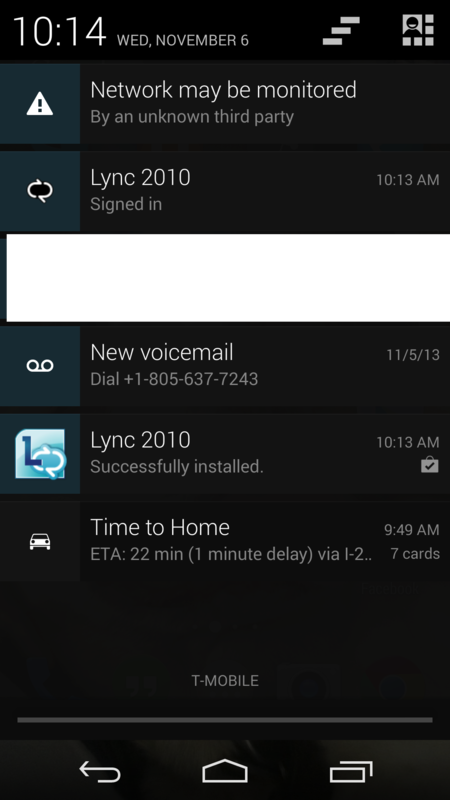 Its main problem wasn't necessarily overall functionality, but the interface it used to get things done. 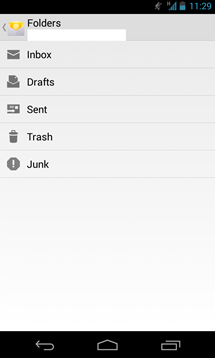 With KitKat, the Email app has been shown some love, getting many of the good interface bits from Gmail. 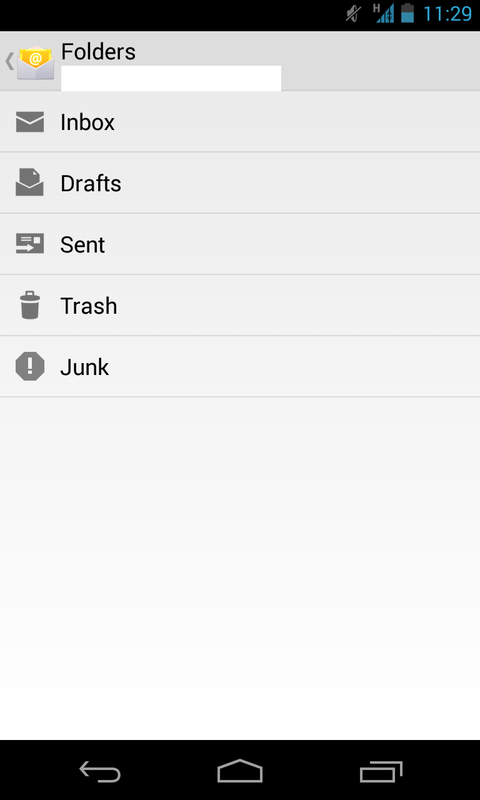 Hamburger navigation, swipe-to-delete (or archive), and pull-to-refresh are all accounted for, along with some settings tweaks. 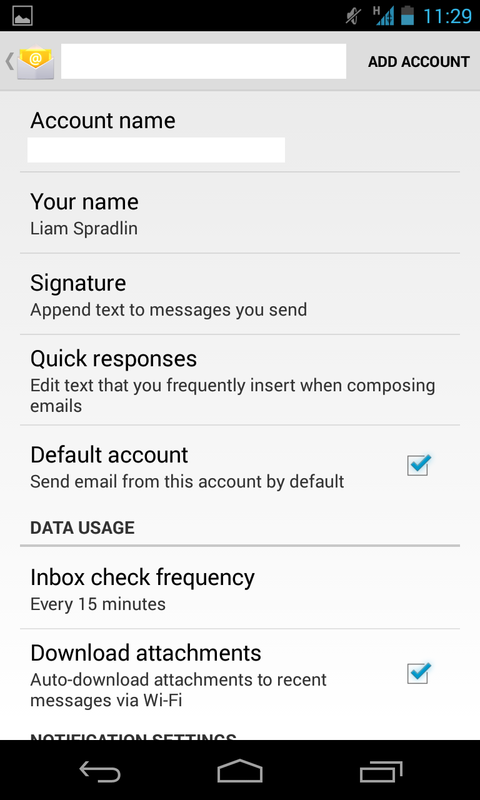 Aside from the interface, there's not a ton to be excited about, but those wishing to manage POP/IMAP/Exchange accounts on the go will be pleased to have received some attention. 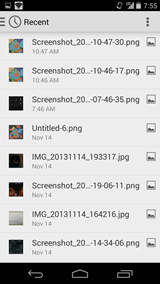 KitKat's file picker is one of the platform's unsung heroes. 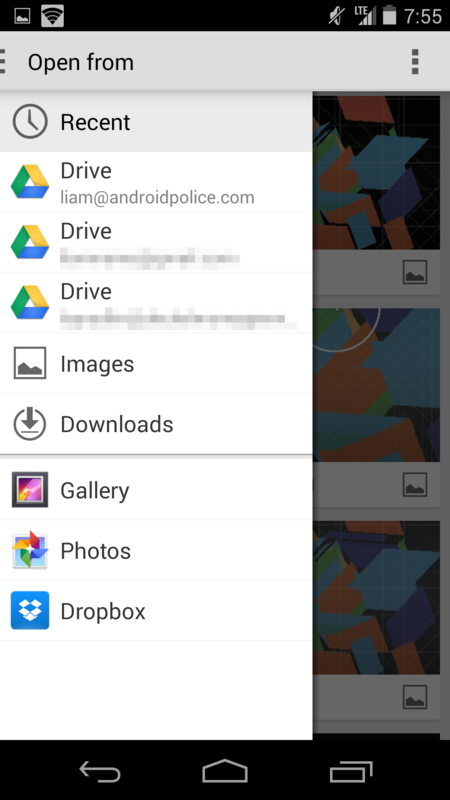 In Jelly Bean, if you wanted to send or use a file, you'd just get a list (like the "complete action with" picker) of apps that could serve up files. 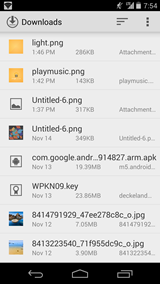 In KitKat, there's a comprehensive, easy to navigate file picker that can draw from your cloud storage accounts, gallery, photos, downloads, recent files, and "advanced devices" (meaning SD card or internal storage). 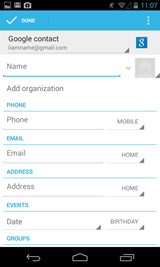 The app itself is extremely simple, and offers both list and card-based grid views. Perhaps the only downfall of the app is that there's no way to simply browse through your files unless you're about to use them. 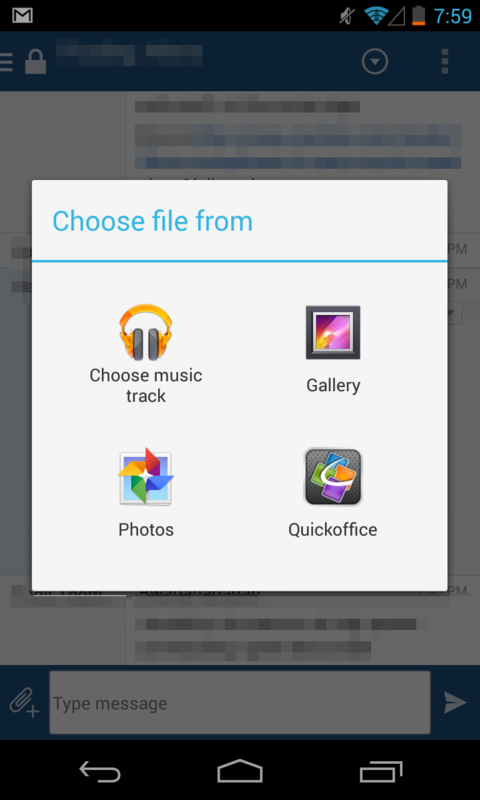 In other words, you can't explicitly open the file picker by tapping an icon in your app drawer. 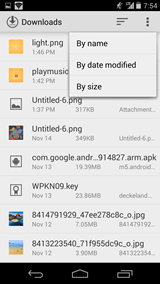 This is probably by design, as we know that the Android team has some very particular opinions about how file systems should work and be experienced in Android. 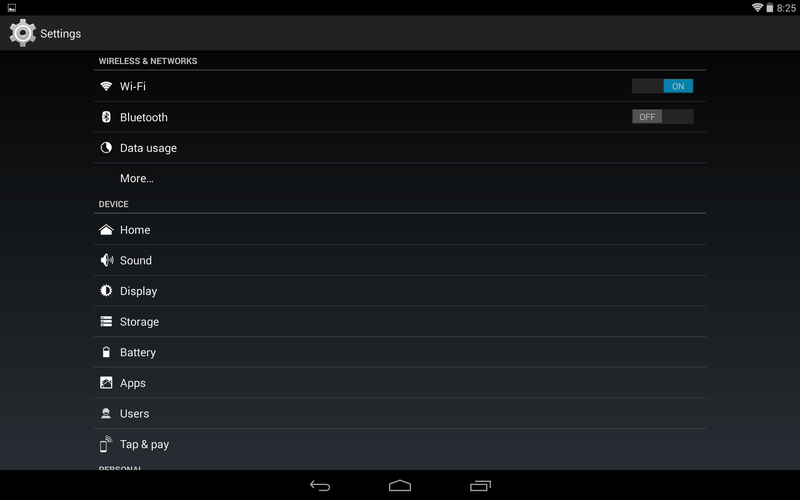 The Downloads app in Jelly Bean and below was fairly abysmal. It was essentially a list of downloaded files that you could share or trash, or sort by size. 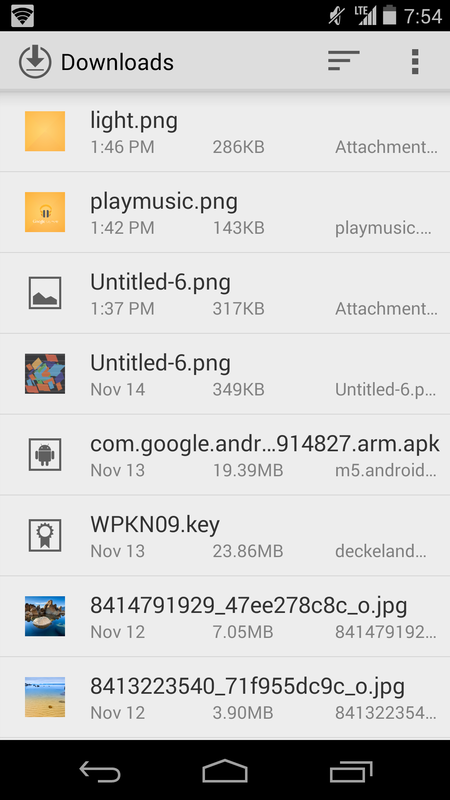 In KitKat, Downloads has gotten a makeover, giving it a style similar to the file picker discussed above. 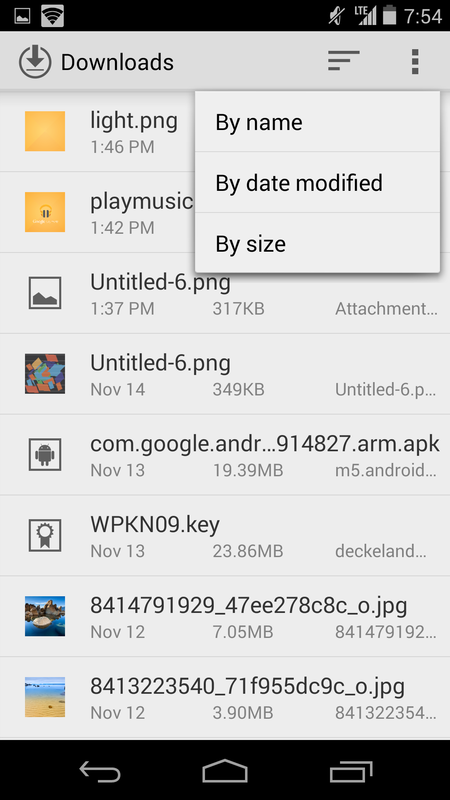 You can sort by name, date, and size, and view your downloads in a list or grid view. Like before, the Downloads app is sort of a pop-over window on tablets, not functioning as a full screen app, but instead as a quick modal interface. 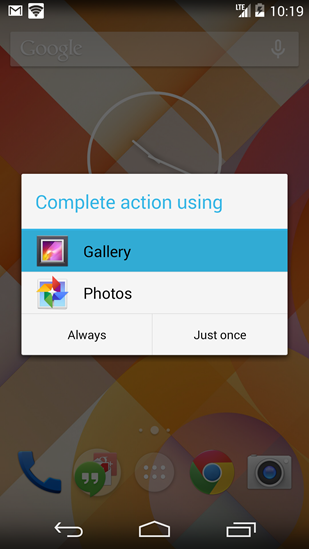 The "Complete Action" picker has also been streamlined. 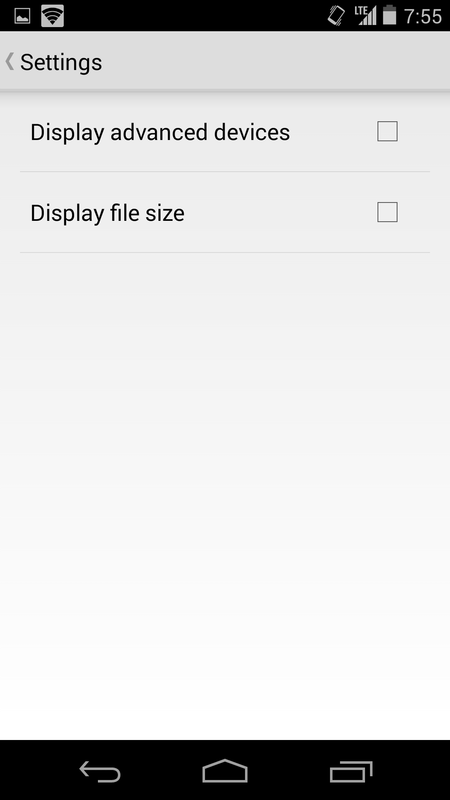 Rather than a grid view of icons, KitKat provides an easy-to-read list view (a slim reminder of the Ice Cream Sandwich picker), and automatically highlights the app you chose last time, so you can use it again (without setting it as a default) in just one tap. 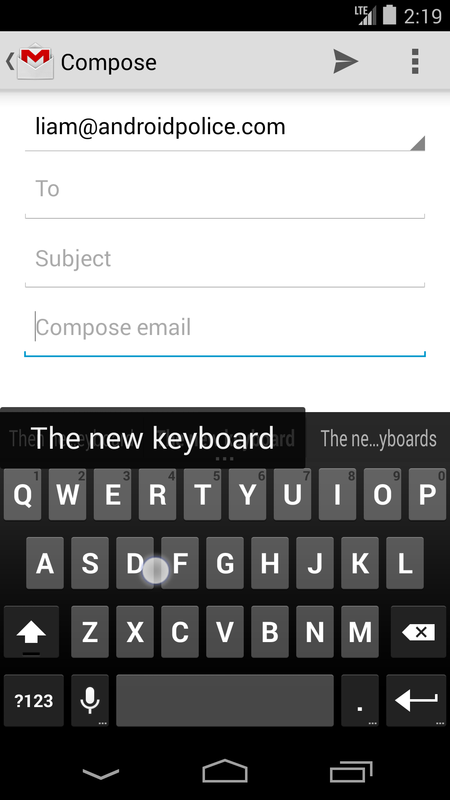 They Keyboard, which Google released to the Play Store some time ago, has also gotten a minor facelift in KitKat. 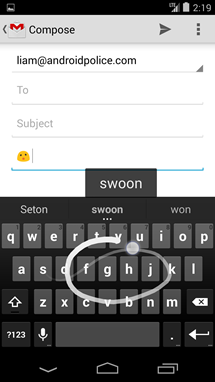 The gesture typing trail (of course) has gone from blue to white, the keyboard can now swipe through the space bar (meaning you could type complete sentences in one long gesture), and there are emoji build right in! 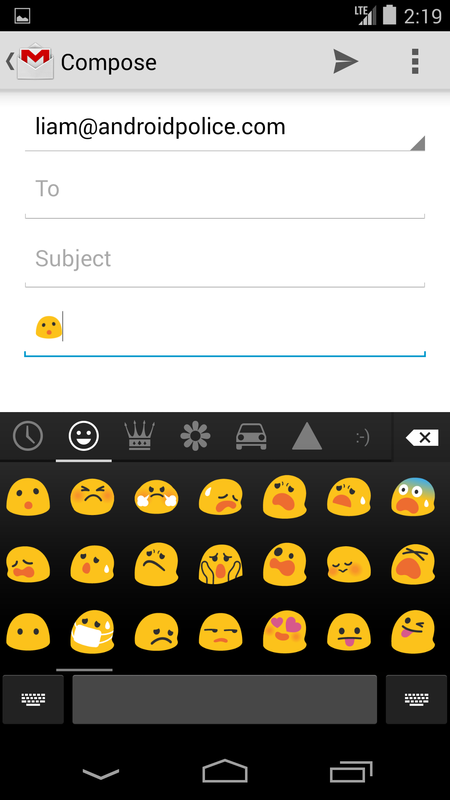 KitKat actually adds support for the emoji to appear everywhere, but users of 4.3 and below can access a limited list of black-and-white emoji. 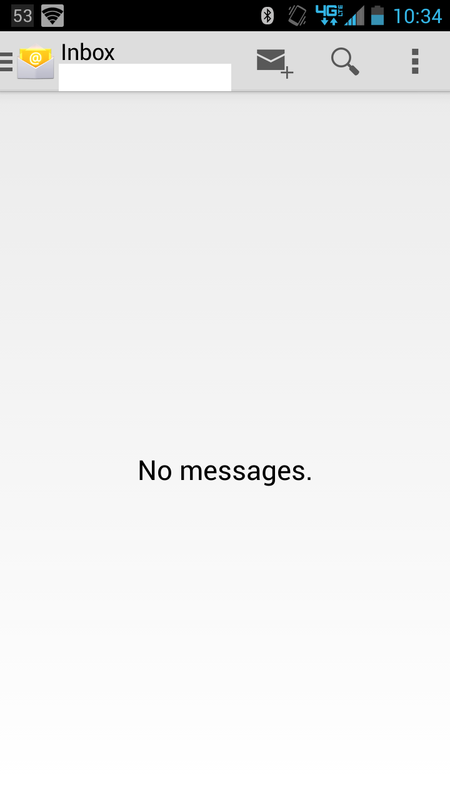 People, like much of the KitKat interface, has dropped holo blue like a hot potato, opting for light gray bars and a swapped set of icons on top, with favorites on the left and groups on the right. 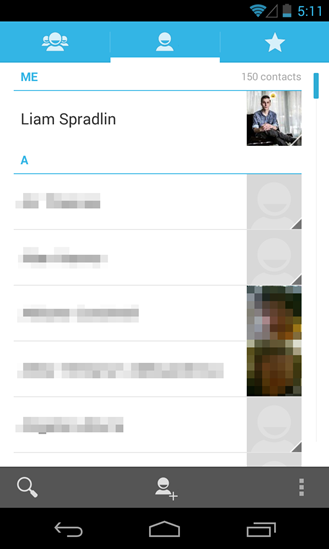 Likewise avatars are now left-aligned. There's a little more padding in each list item (likely due to the resolution changes discussed above), so you'll see one less contact at a time. Otherwise, the app remains largely the same. 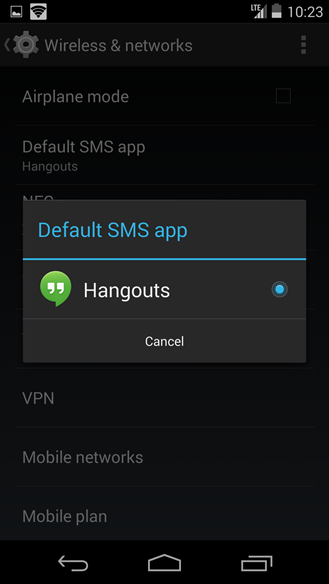 While in Jelly Bean you'd have to do some digging to clear defaults on a launcher or SMS app (or uninstall it altogether), KitKat has separate settings options for both Home and default SMS apps, the former on the top level of the settings menu, the latter under Wireless & Networks. Tap & Pay, likewise, is a central location to manager your NFC mobile payment options. 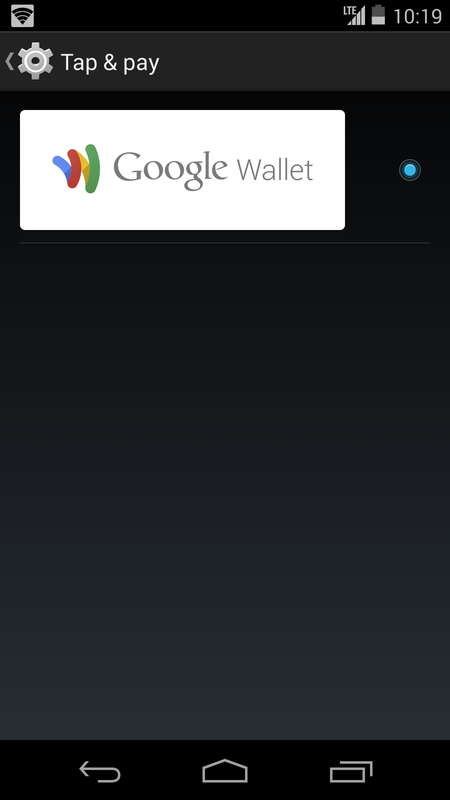 So far I've only got Google Wallet installed, but assuming something else comes along, it will show up here too. There aren't any options here except simple radio buttons, meaning all the control for applicable services should be contained inside their respective apps. 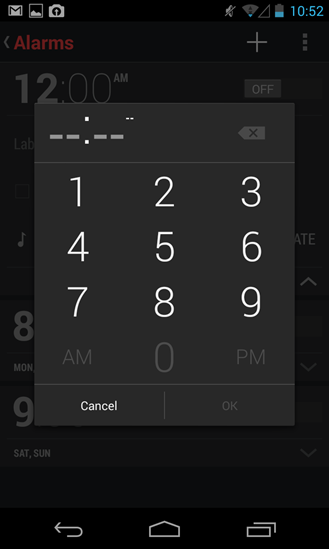 Another one of KitKat's potentially interesting features is native printing. 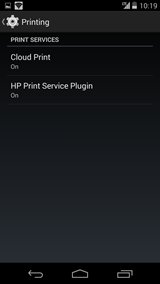 Printing works with either Cloud Print or HP's own app which can find and print to HP machines, and has a surprising amount of functionality. 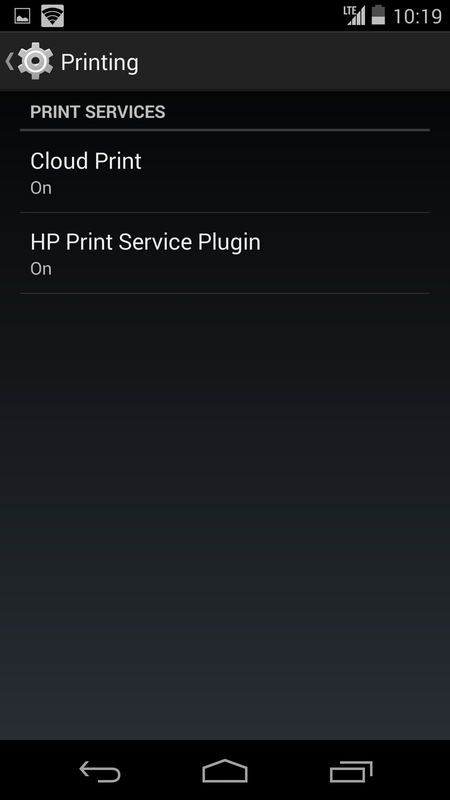 HP's app updates via the Play Store but comes pre-installed with KitKat. 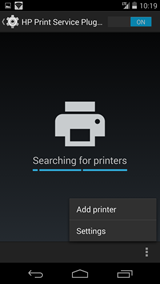 Other printer manufacturers will also be able to use new APIs to make their own similar print services, which is why I say native printing is potentially interesting. There's a lot of room to grow here. Check out the Dev Bytes video below for a full explanation. 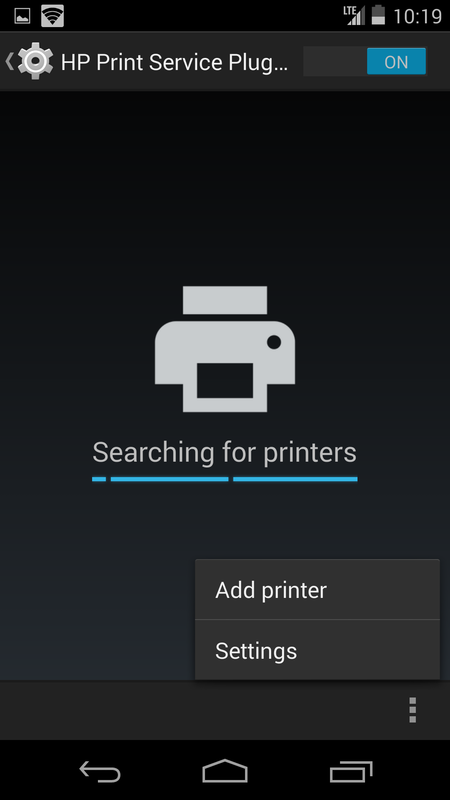 If you know the ins and outs of Cloud Print, you shouldn't have any trouble printing PDFs or other documents, but Cloud Print isn't exactly the most streamlined or intuitive service, as you can see from my expansive list of devices above, which appears to map to several Android devices (some multiple times) though none of them are actual printers. We already looked at some of the serious security enhancements made in Android 4.4 (like SELinux switching to enforcing mode), but there's one enhancement that's a bit more user-facing. 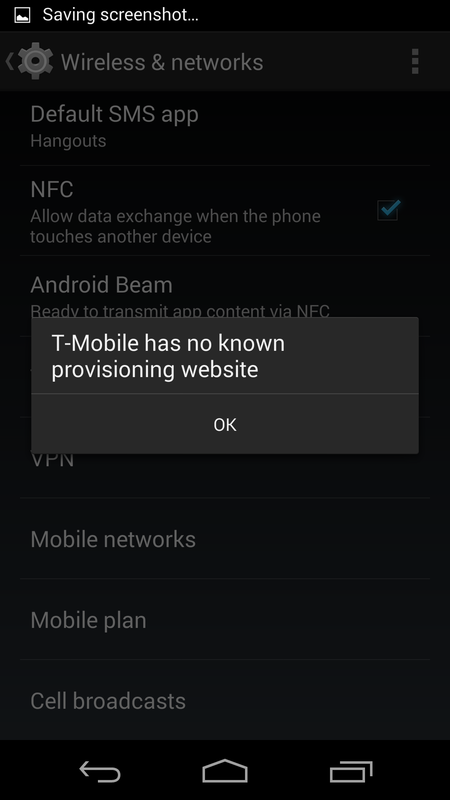 KitKat will warn users when a Certificate Authority has been added to their device. For those unaware, Certificate Authorities are often added to devices (including computers) in corporate environments. They allow web filtering software to keep an eye on your HTTPS sessions, monitoring them with the intention of improving or maintaining security. 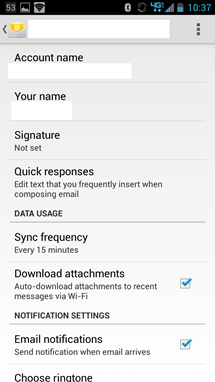 With the addition of CA warnings, KitKat users will be more aware of the possible monitoring, and can just check their device's trusted credentials to get a handle on what exactly is managing their traffic. 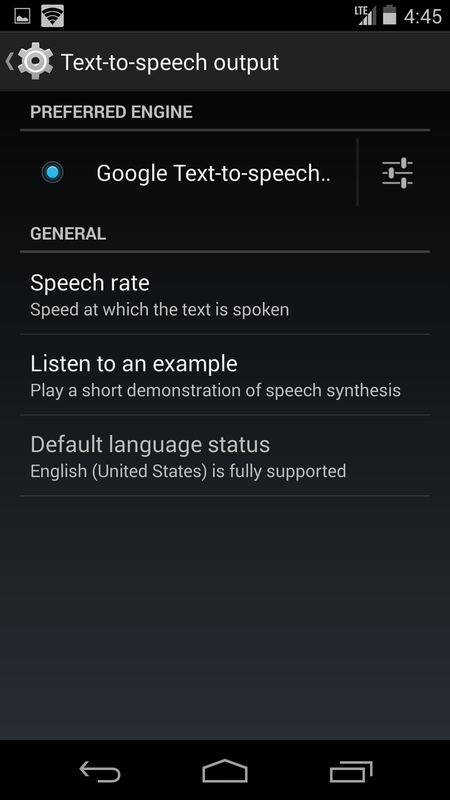 Wondering if your language of choice is fully supported for Google Text-to-Speech? The Text-to-speech output menu in KitKat will now let you know the support status of your default language. 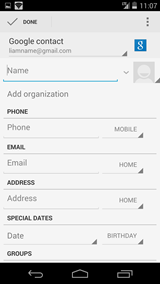 KitKat also gives you the ability to - theoretically, anyway - manage your mobile plan on phones. 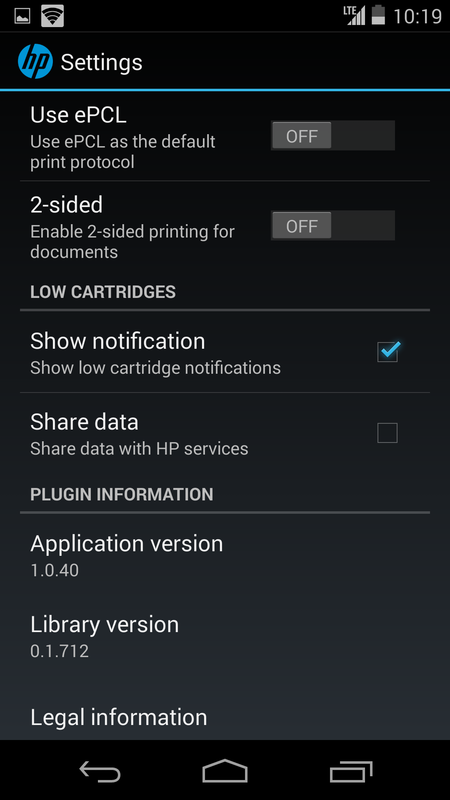 It's been pointed out that this was present on the data-connected Nexus 7 (2013), and enabled in some ROMs for previous Nexus phones. According to this Git entry, the setting was added to 4.3 in July. Our assumption is that it was included in the 4.3 branch belonging to the LTE Nexus 7, but not for the branch belonging to the Nexus 4 or GPE phones. It may have found its way into Nexus 4 ROMs through source builds. 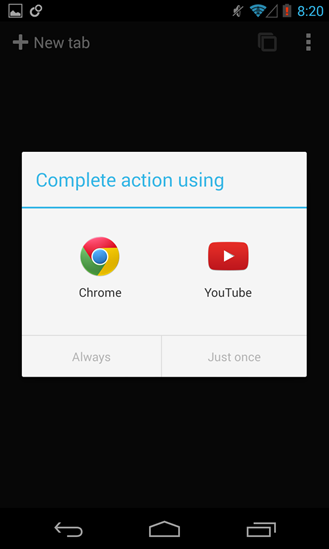 If you're the owner of a Google Play Edition device on 4.3, let us know if you see this option. Under Wireless & Networks settings, the option will take you straight to your provider's provisioning website, if they have one. Providing "geeky stats about running processes," Google's added another entry to the lineup of Developer Options in the settings menu (reminder: access these by tapping repeatedly on the build number in Settings > About Device). Users can choose a duration for the stats and which stats to show, giving a quick, easy way to see how processes are performing at any time. 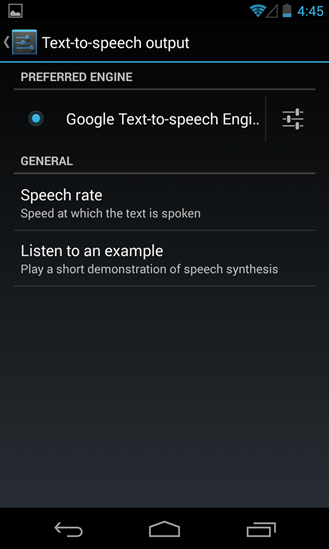 KitKat's sounds have also been revamped. 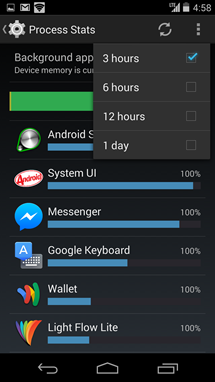 Besides new lock, unlock, and selection sounds, KitKat has a bevy of new default ringtones and notification sounds. 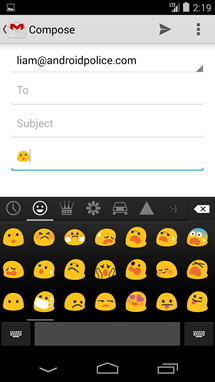 While all the new tones follow the same naming convention as the Jelly Bean set, only a few survived from 4.3. The new ones, though, are almost universally smooth and pleasing. 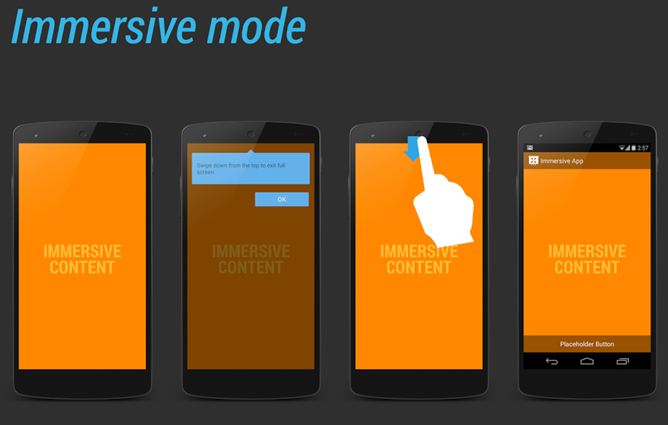 With KitKat, apps can now enter immersive mode, which is kind of like an enhanced full screen. This allows apps to completely hide the system bars but, more importantly, allows users to recall them with a simple swipe down from the top or up from the bottom. This means you'll no longer need to exit a full-screen game to check your notifications. 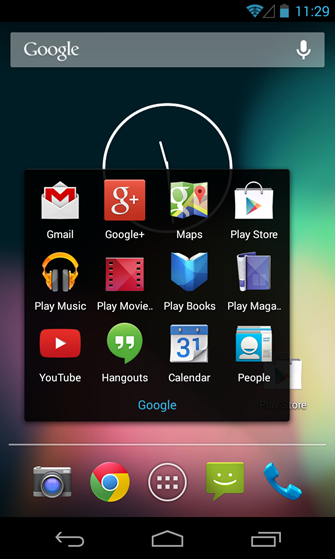 Apps like Google's Play Books are already equipped to take full advantage of immersive mode, but even apps that currently run in full screen with the nav bar still visible can use the gesture to recall the top status bar, which is great for users of apps that haven't gotten around to updating for the new platform yet. Unfortunately, it looks like App Ops, the tool that allowed users to control permissions for individual apps in 4.3 has been removed in 4.4. There's no word on why this was removed, but we do know that the feature was technically not ready to be revealed when it was discovered in 4.3, so seeing it disappear is only a small, if still disappointing, surprise. 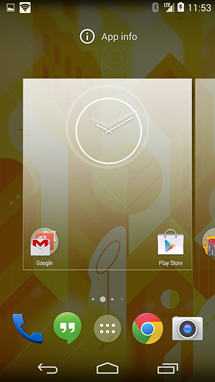 One very evident design move in KitKat is Google's effort to make Android softer and more inviting. Gone are (most of) the glowing #33B5E5 elements on dark backgrounds (the obvious exception being the Settings menu), icons are bigger and friendlier, and many square touch elements are now replaced by circles. 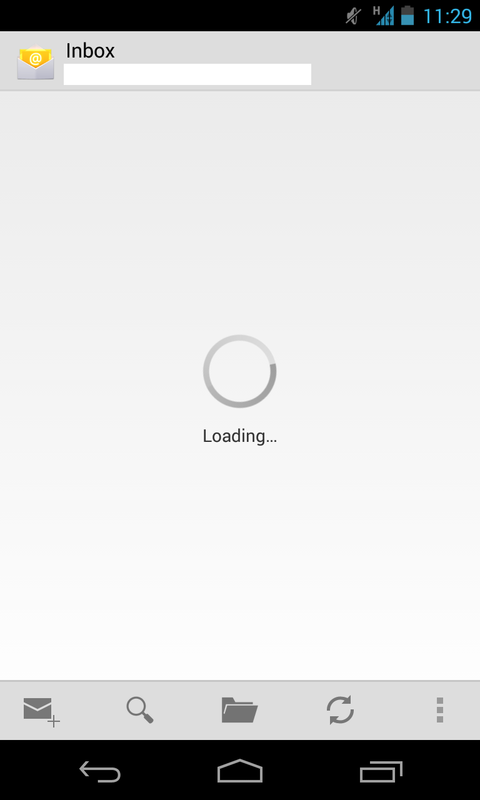 While not strictly a KitKat feature, Android has slowly begun to transition from square vertical ellipses (overflow buttons) to vertical ellipses comprised of three circles. 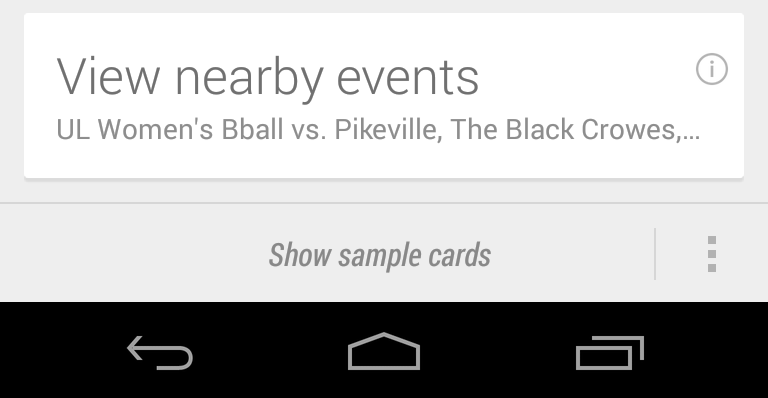 These can be seen in the new Search app, and the Play Store. 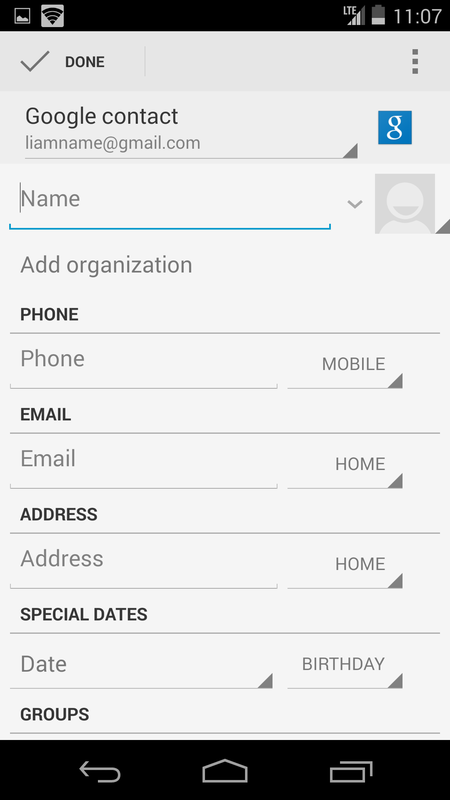 Of course, it wouldn't be a new version of Android without a codename-specific Easter egg. 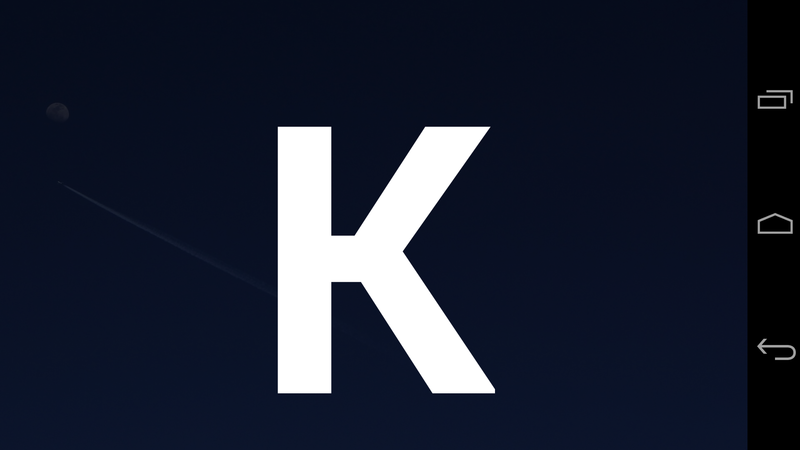 This time, if you tap the version number under Settings > About Phone five times, you get a spinning K, spinning in different directions depending on where you tap. 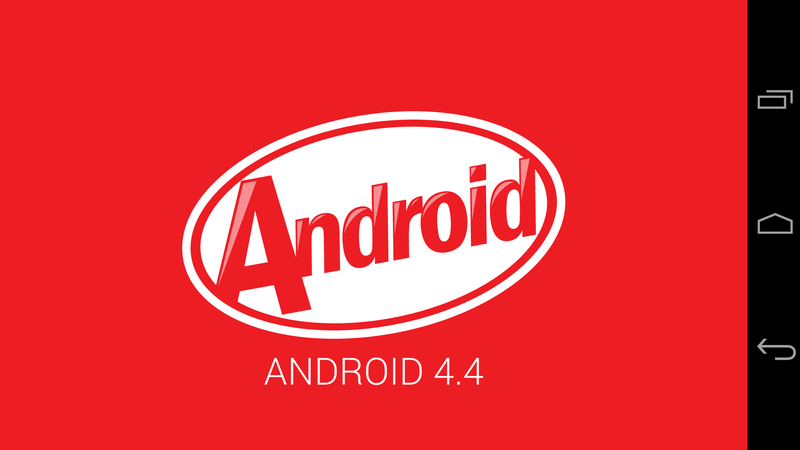 If you either tap it enough times or just long press, you'll see the KitKat-ified "Android" logo. Long press that and you'll get transported to Dessert Case, KitKat's replacement for Bean Flinger. Dessert Case, which also appears in the daydreams interface once you've found it, is a set of interchanging tiles swapping around the screen, some solid, some with Android version iconography, all the way from Petit four to Key Lime Pie to KitKat, with every step in between (even including a zombie gingerbread cookie!). 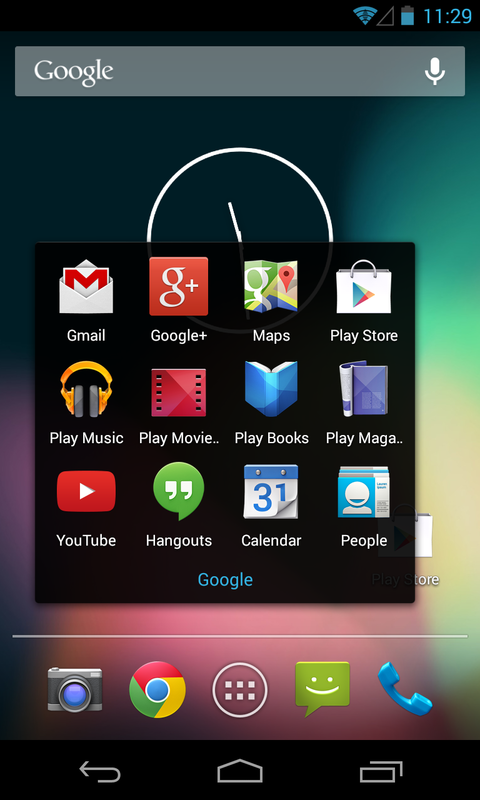 A new paradigm Google's introduced with KitKat is drag-to-select with overflow keys and spinner menus. This is a great subtle UI tweak that eliminates one more tap from your interactions. 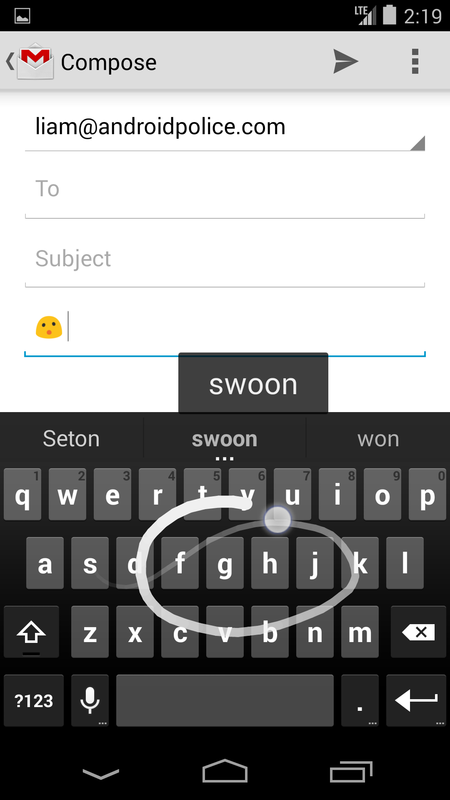 When you drag over an overflow or spinner, you just swipe down to the option you want and then let go to select it. 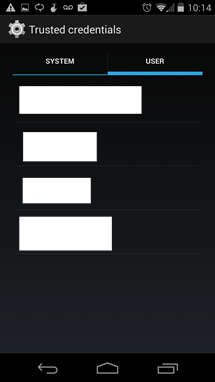 In a more technical tweak, KitKat will now show you your IPv6 address along with IPv4, while Jelly Bean only displayed IPv4. KitKat's immersive full-screen mode is lovely, but there are still times when the system bar stays up but goes black, leaving only hints as to where the three typical buttons are. 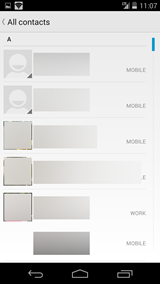 In Jelly Bean, these were circles with slight gray halos, but in KitKat they've been reduced to teeny tiny, barely-there gray circles that appear much cleaner and more subtle. 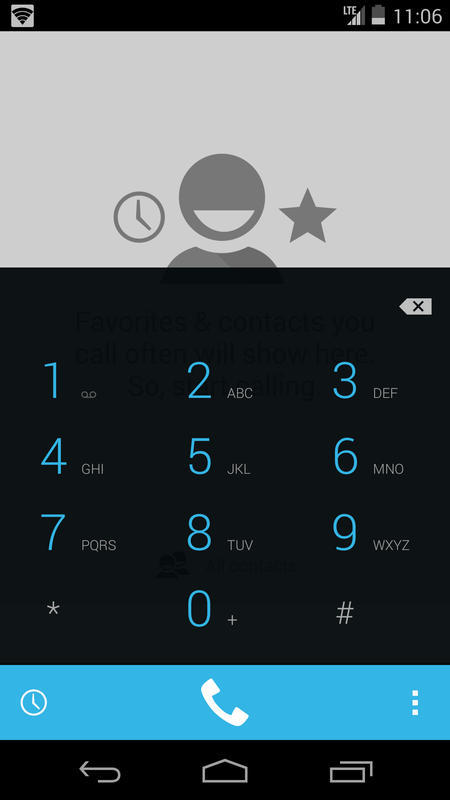 While much of the settings interface remains the same blue/black gradient we've seen in previous versions, the buttons have at least been touched up a bit, going for a darker, more subtle style. Finally, with 4.4, Bluetooth audio devices can directly control Android's system volumes. 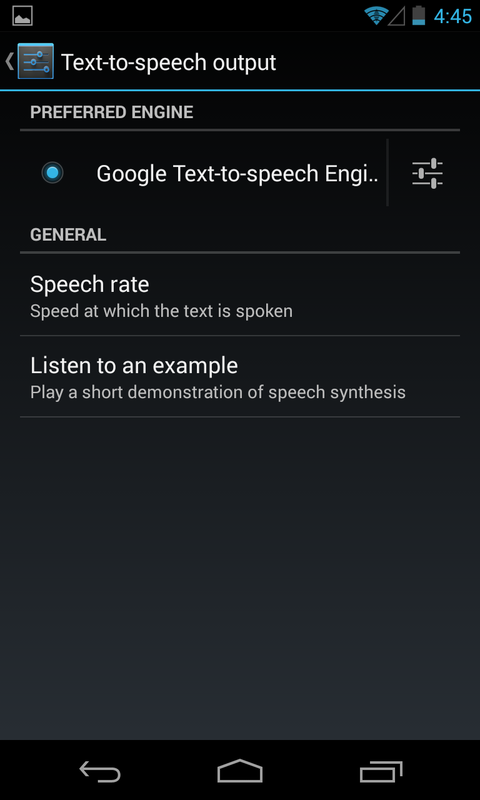 In previous versions, Android would have its own system volume, while the Bluetooth device would control another volume setting, making for a confusing, inconsistent user experience. 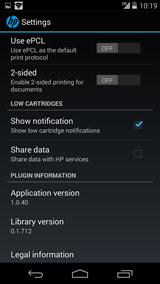 With the update to Android 4.4, devices using Google's Bluedroid stack (many non-Nexus devices have modified stacks) will enjoy this unified control. Got all that? It's important to note that GTKA is a living document. We've covered just about all the user-facing interface tweaks and new features of interest, but if we find more, we'll discuss those too. 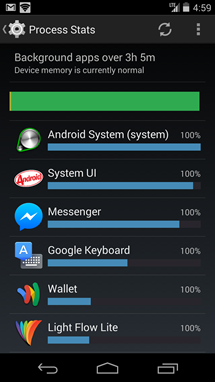 Barring any other undiscovered KitKat goodies, stay tuned for Stock Android Isn't Perfect. See you then! 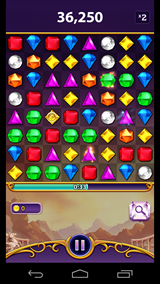 [The Android Police Podcast] Episode 86: Just Blow Into The Hole Satchmo!